This is how I remember him. Very photogenic and with a pipe in his mouth. 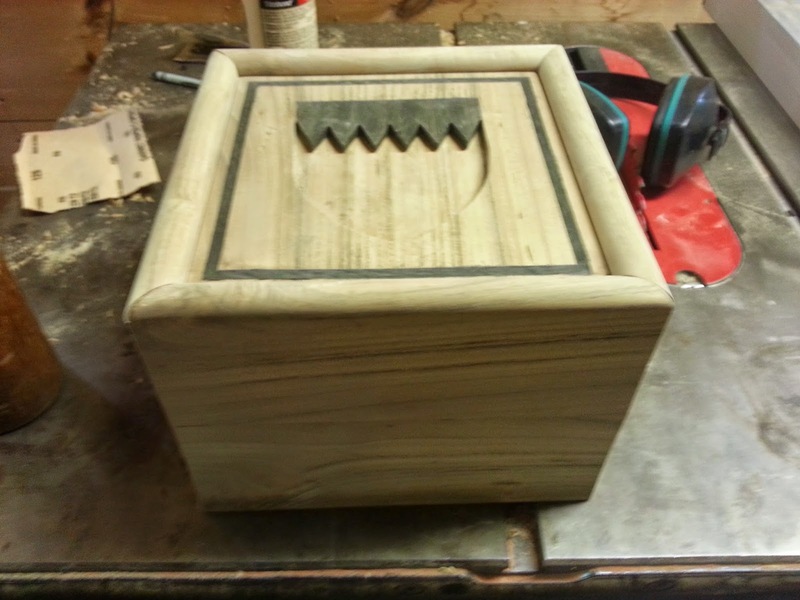 Soon after my father passed away I started thinking about making an urn to house his ashes. Immediately I thought of making a box out of locust. 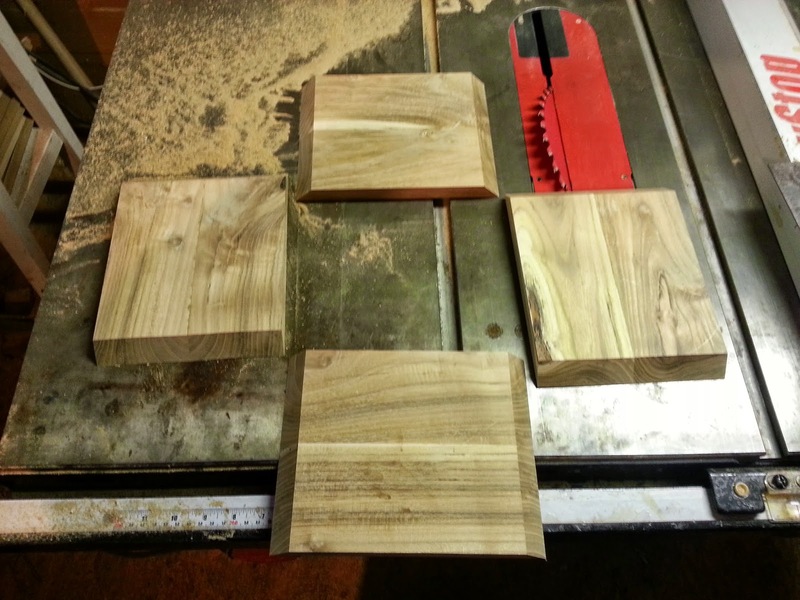 In particular, lumber I had milled from a locust tree that had grown beside the stone wall next to our house. 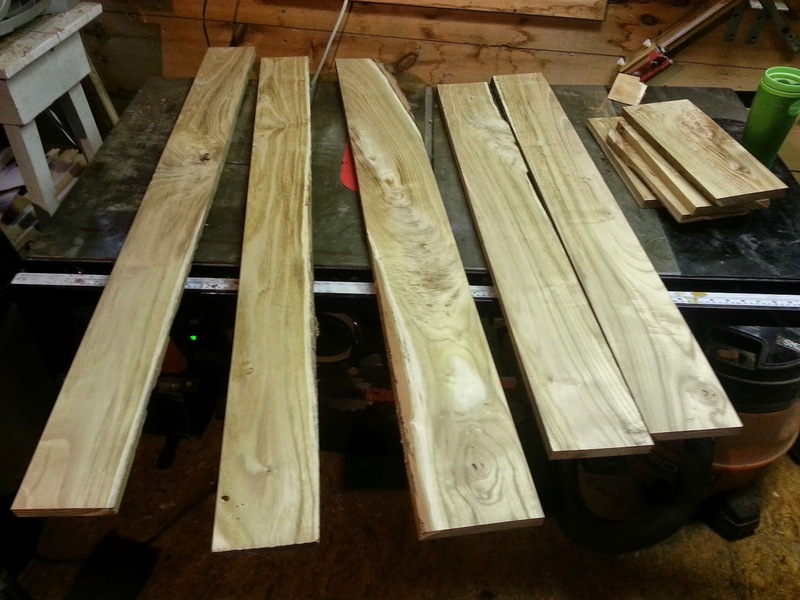 My parents had cut the tree down several years ago and I had asked them to have it cut into eight foot lengths, so that I could have it milled into lumber to build the dining room table that I am now writing this post on. 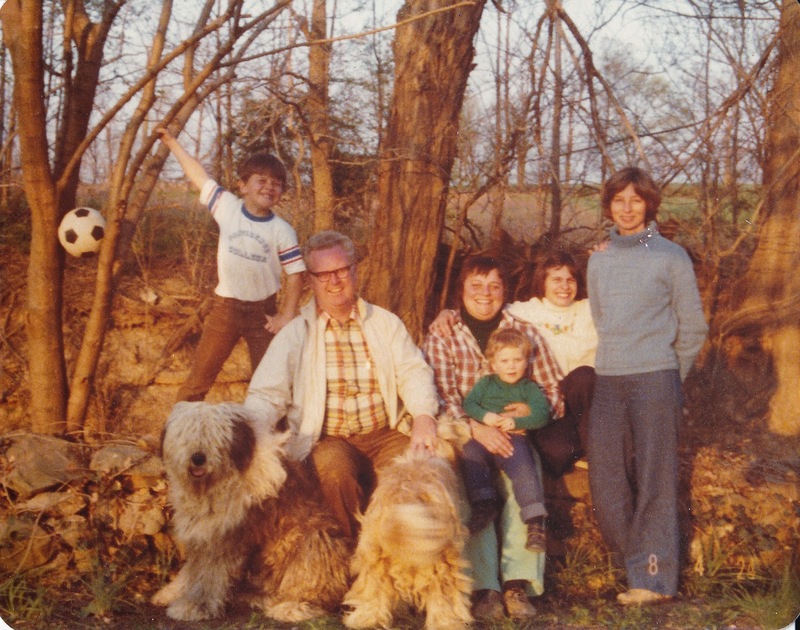 Here is a photo of my family taken in the late 70's on that stone wall. 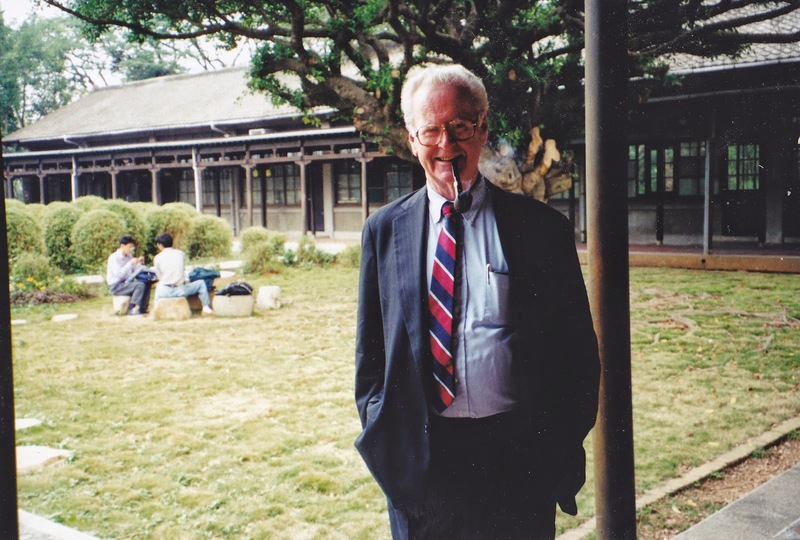 The tree can be seen in the photo directly behind my father. My aunt Janet is on the far right and yes, the baby in the picture is me. 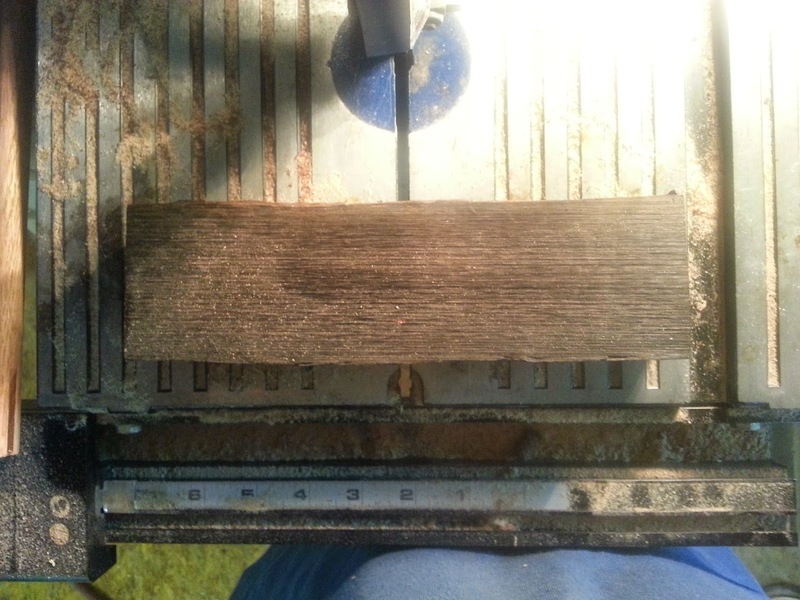 Over the years I have used the wood for various projects, and the pile of lumber has dwindled. As I thought about the project I felt pretty confidant that there was enough wood to do the job. 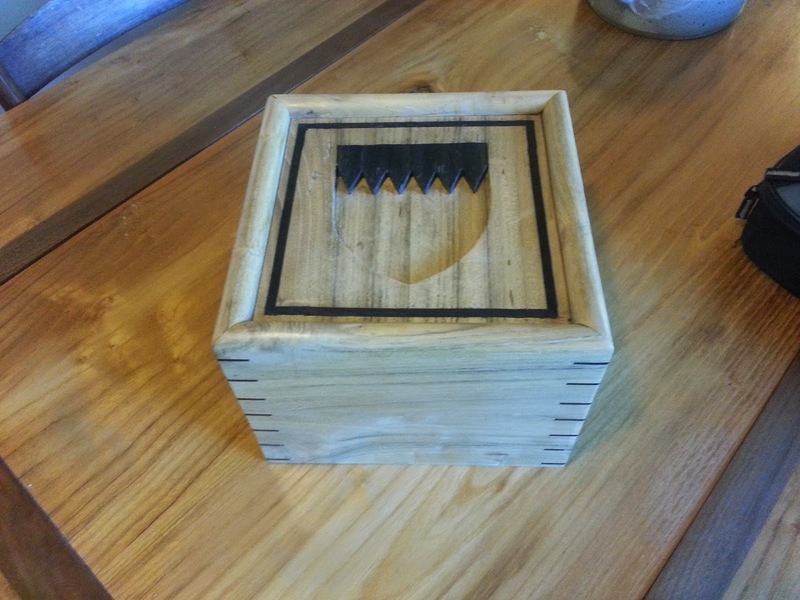 The basic design for the box is that there are four sides to the box that all have mitered corners. 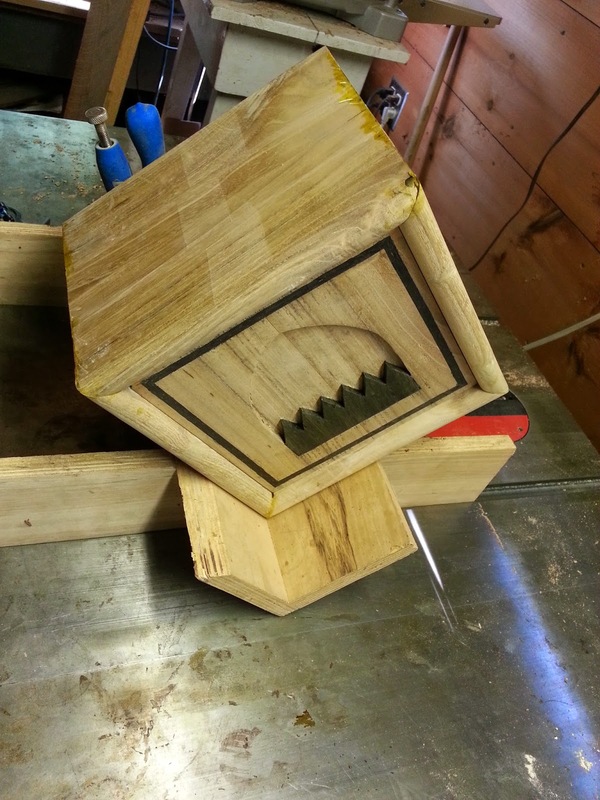 The top and bottom are floating panels held in place by the four sides and the mitered sides are held together with splines inserted as keys into each side, creating joinery. Most of the time I like to make the splines from a contrasting wood to show them off and add visual interest to the piece. Another element I wanted to incorporate was our family coat of arms. The Power family were with Duke William of Normandy at the battle of Hastings and were granted lands in Devon, England for service to him. By the year 1200 they had settled in Ireland where our family came from. 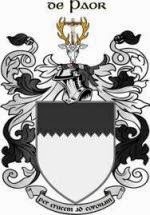 Below is an image of the family coat of arms. The shield image had a field of white on the bottom with a field of black on the top. a zig-zag line separates them. My father was very proud of his family lineage and was proud to display this coat of arms when ever he got the chance. 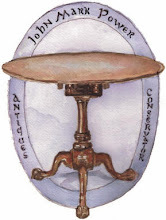 After he retired he had business card made up with this as his logo. It seemed a fitting way to commemorate him to incorporate this shield on the box. It suddenly dawned on me that the perfect wood to contrast the locust from our family home would be bog oak from Ireland. Bog oak is oak which is found in Ireland and other parts of the world that has been preserved from decay by being submerged in the bogs. 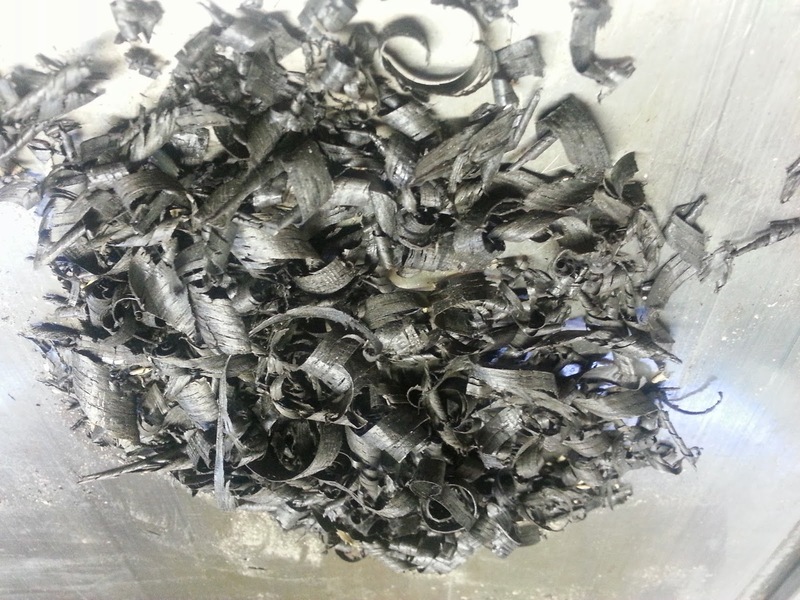 The acids in the bog not only preserve the wood but turn it jet black. I was first introduced to this wood by my cousin Tom Ronayne of Dublin, Ireland. 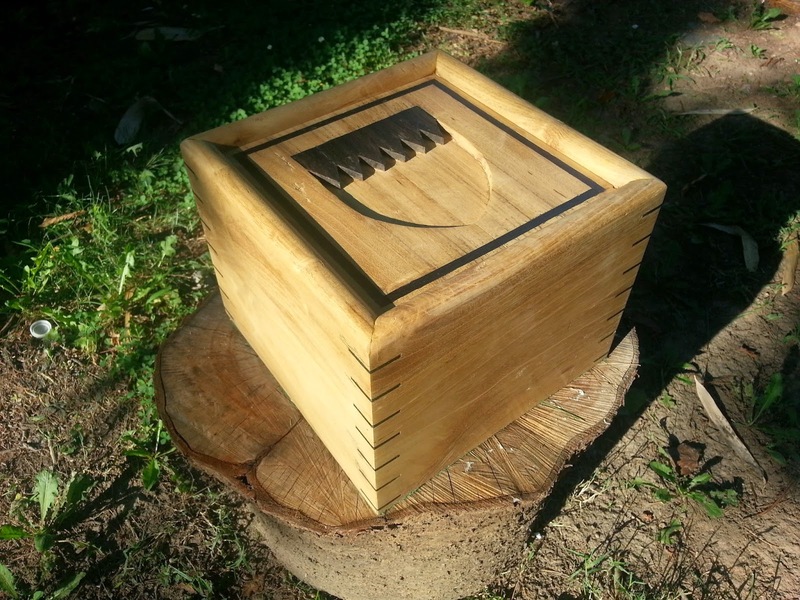 Tom is a turner and woodworker who works with bog oak among other woods and has over the years presented gifts of his creation to my family, often out of the bog oak. Most notably for me is a bowl turned from a massive piece of bog oak that Tom turned for my wife and I when we were married. I got in touch with Tom, who I knew was coming over to America for the funeral, to see if he had any scrap bog oak he could bring with him to use in the urn. He said he had one piece left that he had been saving and that I was welcome to it if I wanted it. 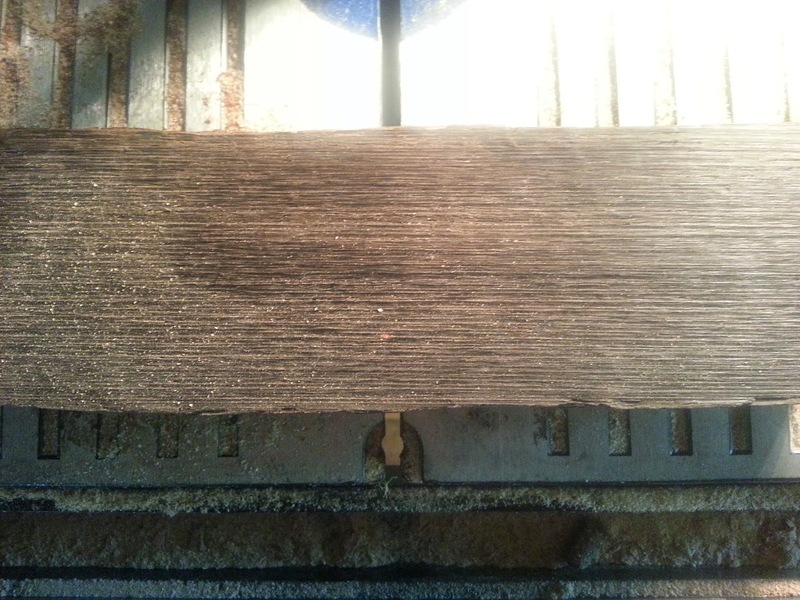 Within days, I was face to face with Tom and he handed the perfect piece of bog oak over to me. One other feature of Bog Oak that I have neglected to point out is that when it is preserved in the bog it can be preserved for thousands of years. The piece that Tom gave me was dated to be 5,500 years old. 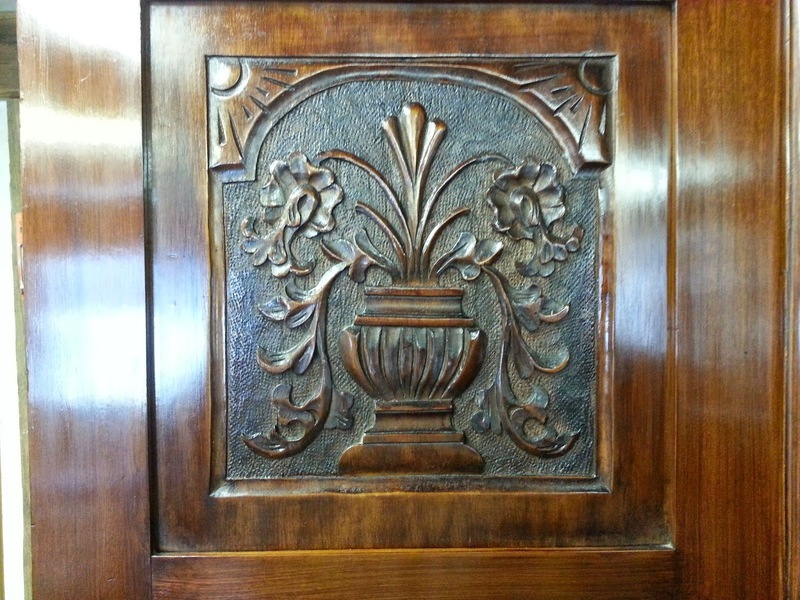 This sense of permanence gives the wood special meaning and importance and seemed like the perfect choice for this urn. While the locust I was working with was not nearly as old (probably around 80 years), it also instilled a sense of permanence in me. Locust is traditionally prized as a wood that will last against the elements and also with ground contact. 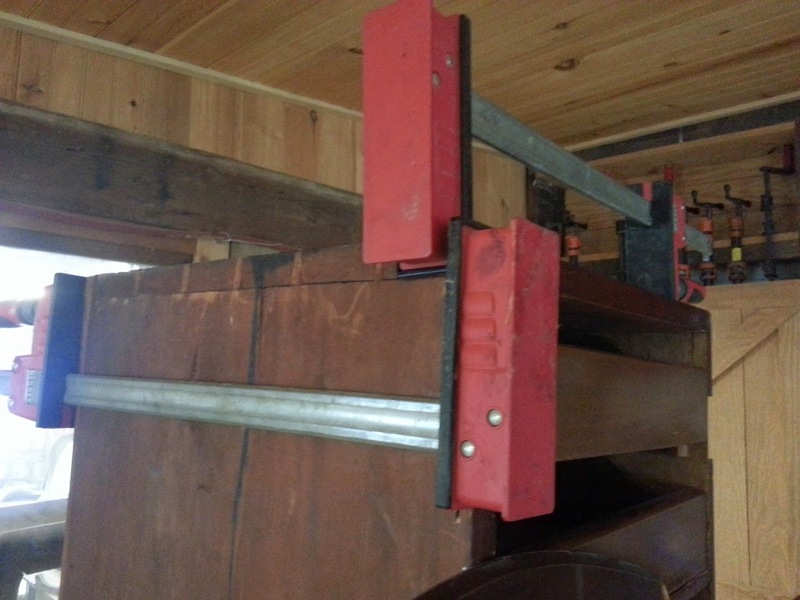 For this reason, it is used for fence posts and other jobs that require these strengths. I remember walking my parents land as a boy and coming across old locust fence posts that had been standing long before my family came to be caretakers of this land. The old saying about locust is that it lasts "fifty years less than stone"! 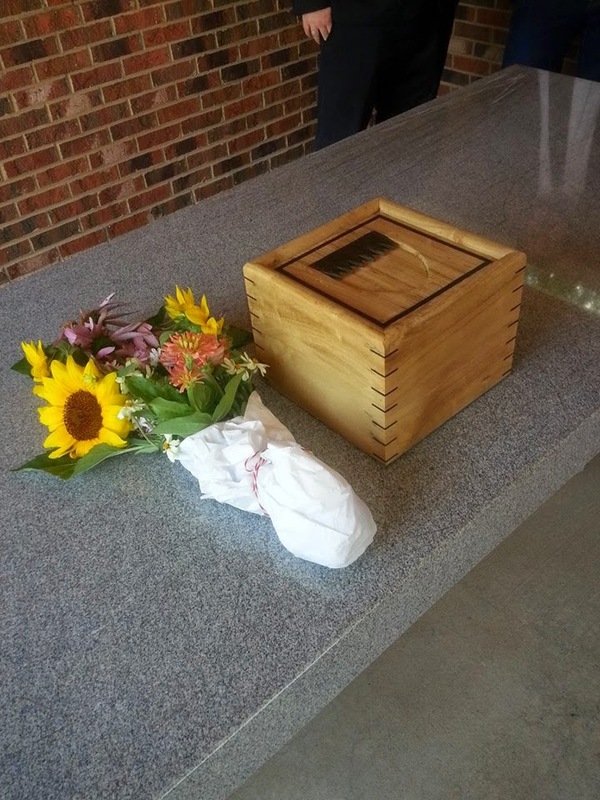 Both woods were perfect candidates for my father's urn. 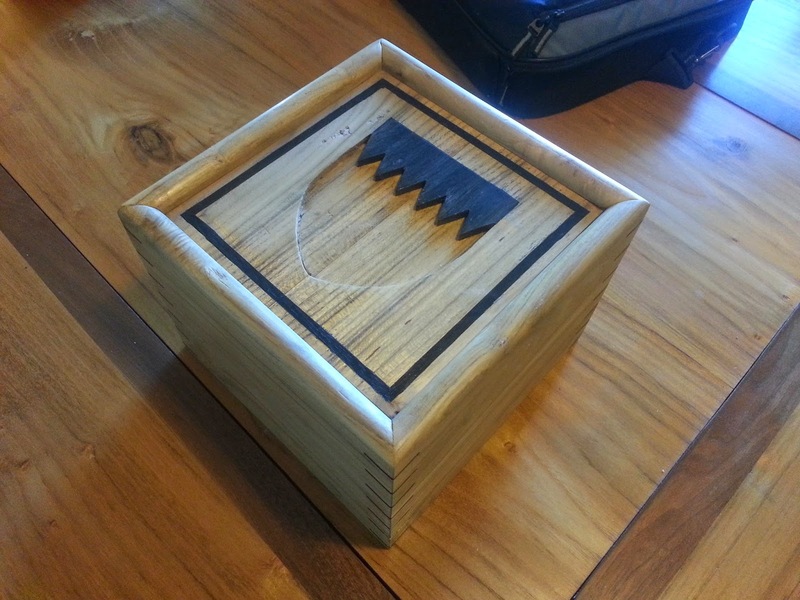 Below is a drawing of the box that I designed to hold my fathers ashes. 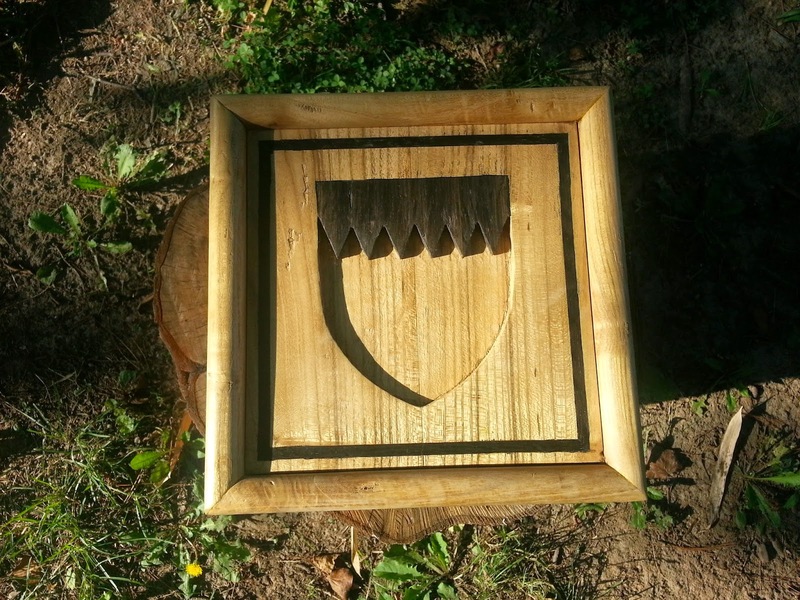 The top of the box has a border of inlaid bog oak that frames the shield from the family coat of arms. The shield is recessed into the top creating definition and the field of white (in this case locust colored). 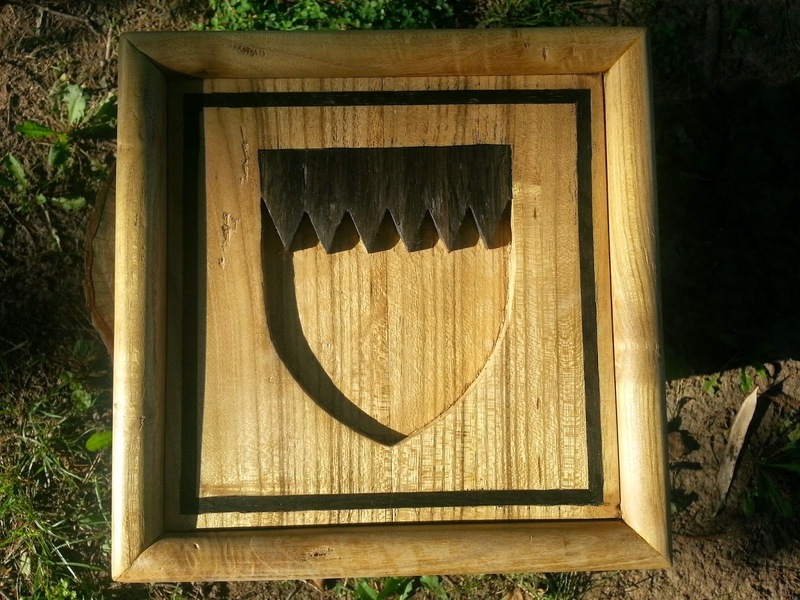 The field of black, made form bog oak is inlayed into the shield and is flush with the top. 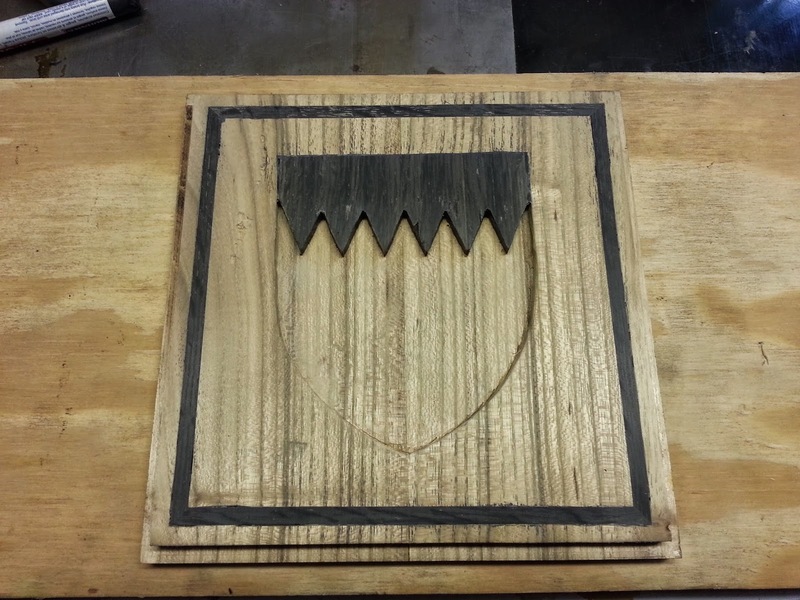 Bog oak is also use for the splines at each corner. 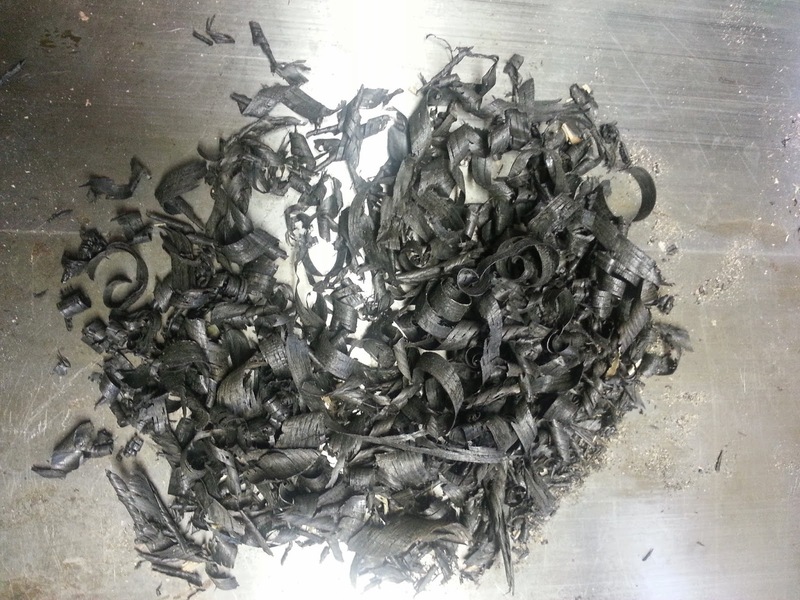 One other interesting fact about bog oak is that it was used in 19th century Ireland to create Mourning Jewelry. Mourning Jewelry was first developed in the 17th century and reached its peak in popularity during the Victorian period. Mourners would wear a broach or pendant made from bog oak for several months during the Mourning period. This association with death and mourning seemed to seal the deal for me. Now that I have explained the rational behind the design of this box I will proceed to show the process of making it.Below is a photo of the locust boards I had for the project. 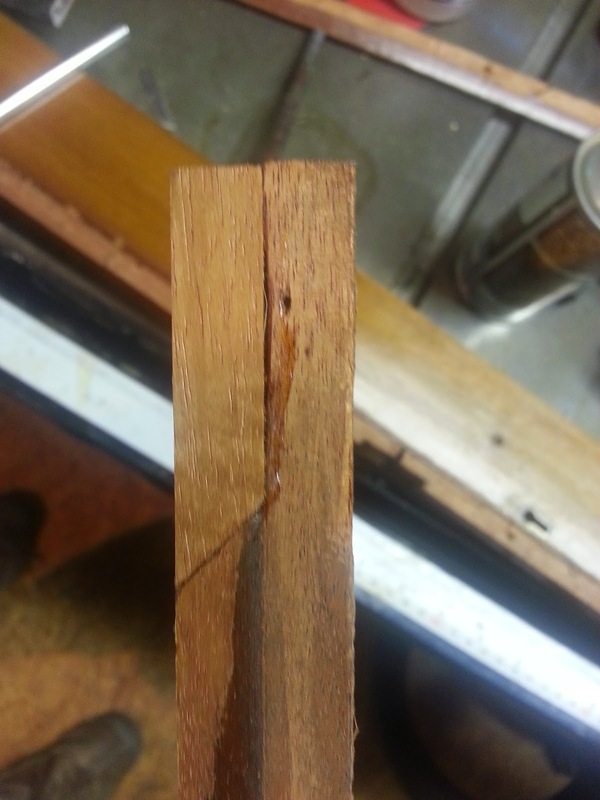 The wood had deteriorated a bit, but I was able to get what I needed for the project. 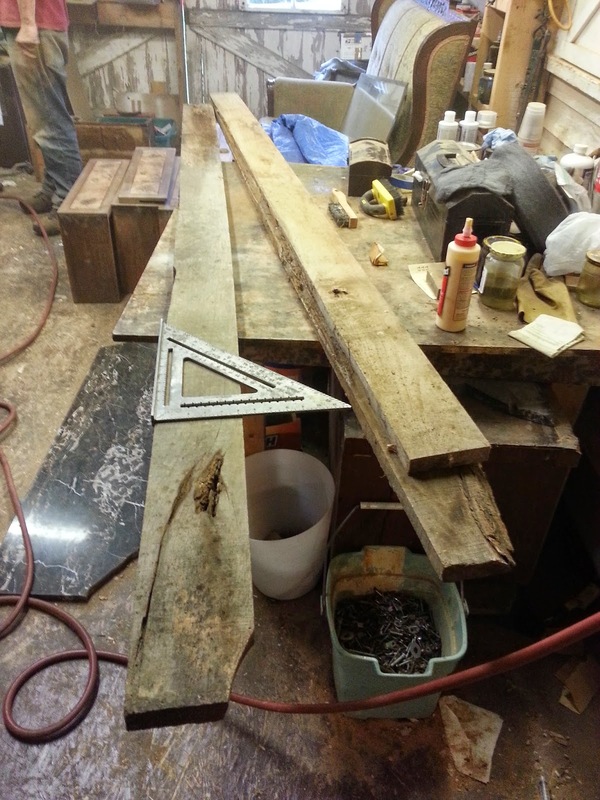 Here are the usable lengths after they were milled. 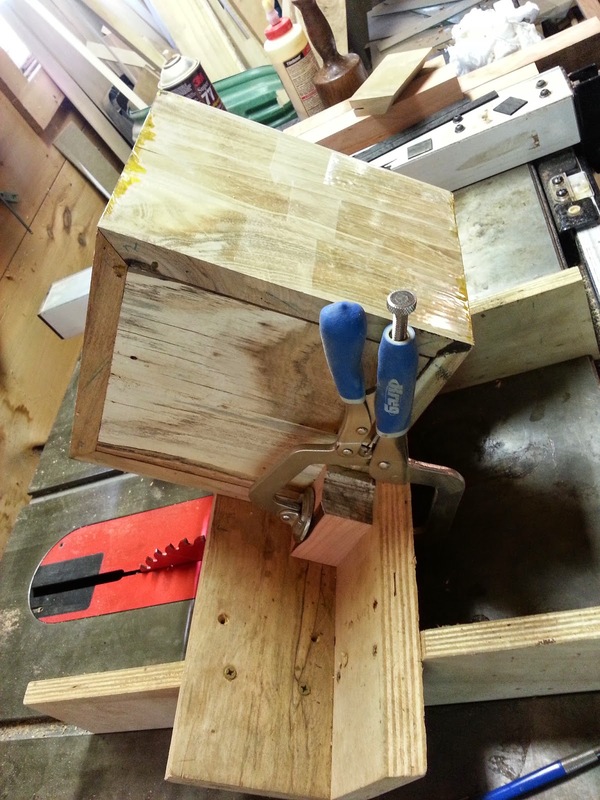 The boards came from the outside of the tree so I had to work around sap wood and bark as best I could. 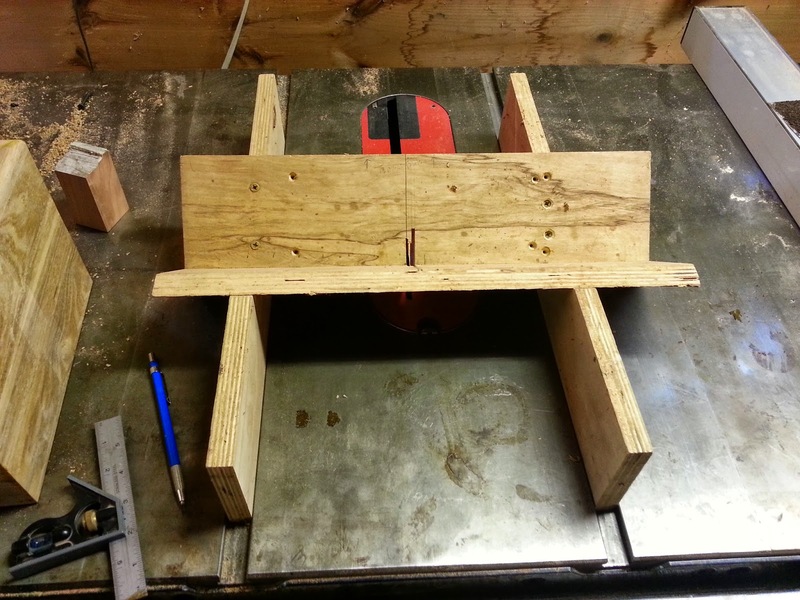 I did not have boards wide enough to make the sides out of one board, so the sides, top and bottom were all glued up out of two boards each. 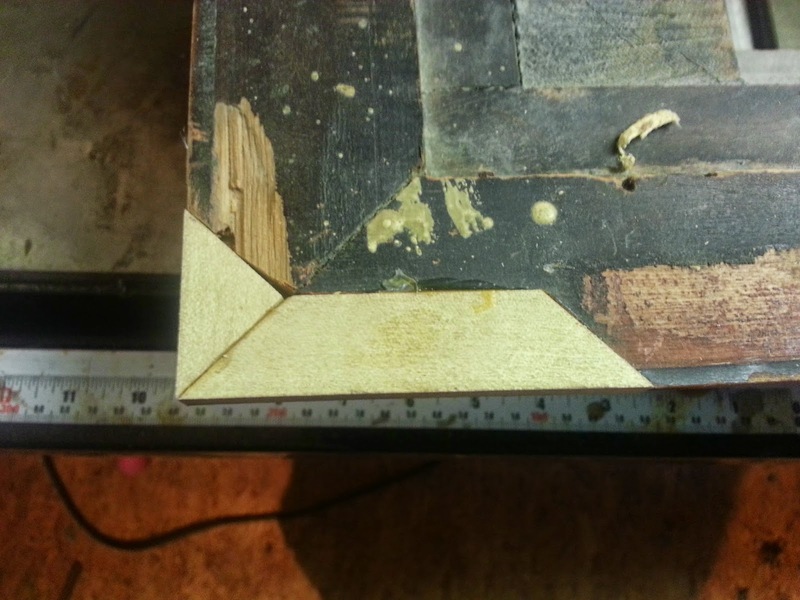 I matched the grain as best I could to hide the glue line. 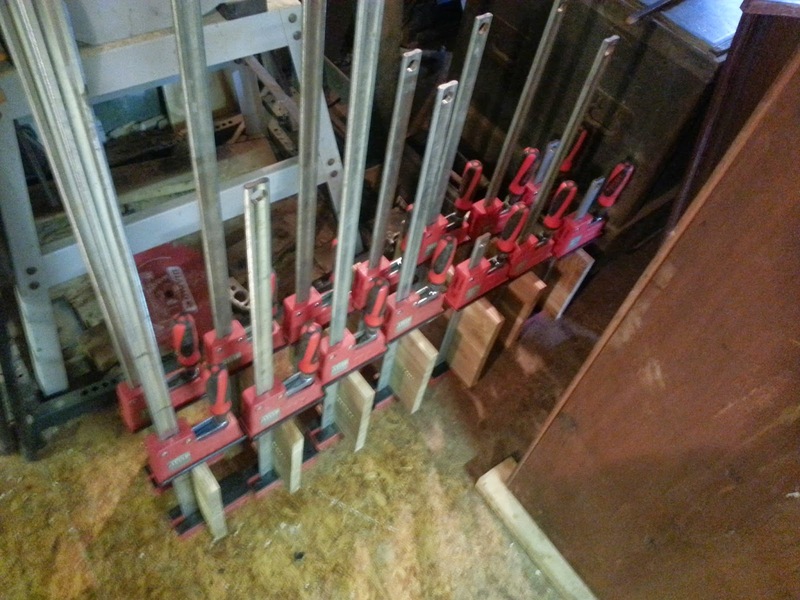 Below is a photo of the boards being clamped while the glue dried. 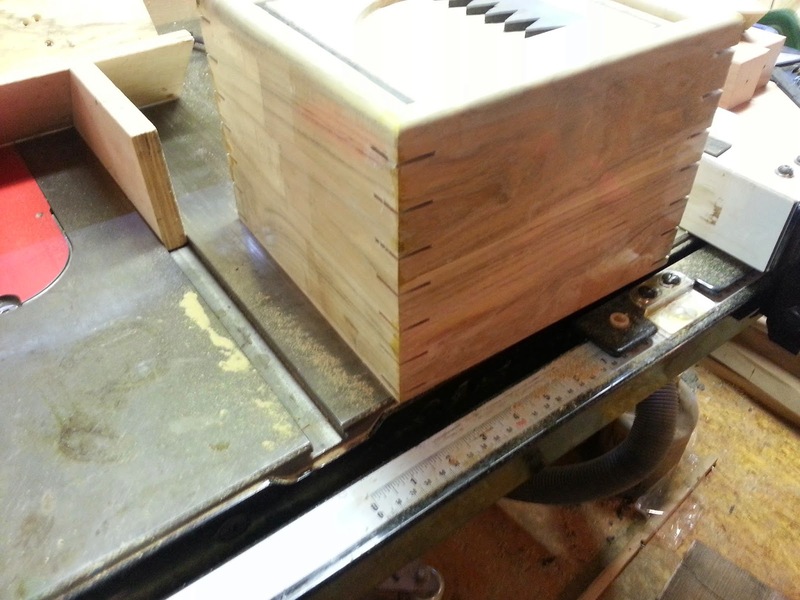 Once the sides were glued, I cut them to the proper dimensions and cut the mitered corners. The four mitered sides are seen below with the inner face facing up. The next step was to plow a grove to receive the top and bottom boards in all four sides. 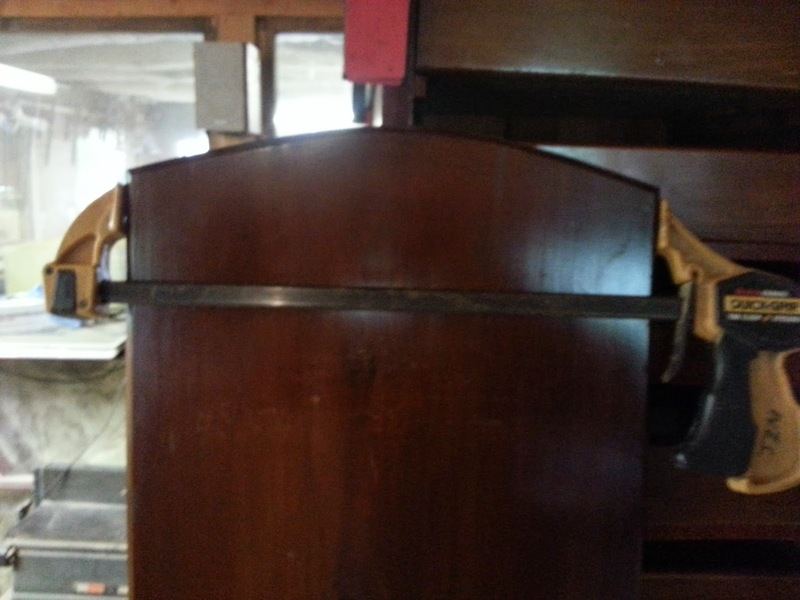 The top and bottom were rabbeted so that the tongue on each side of the top or bottom would fit into this groove. 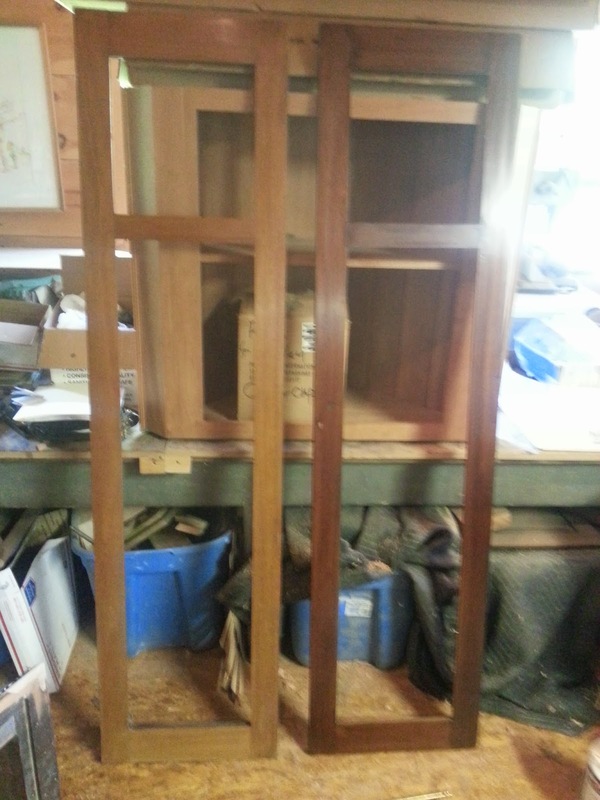 Below is a photo showing the top inserted into the four sides. 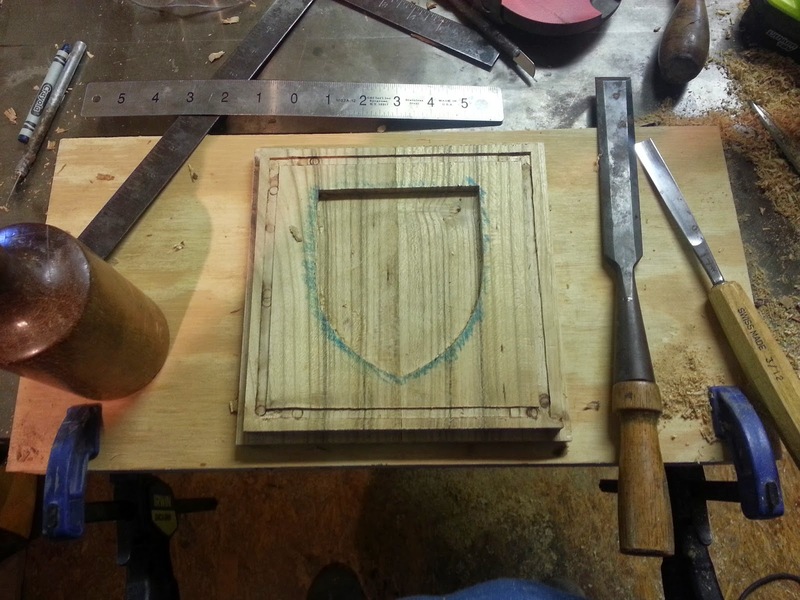 Next I set to work on creating the shield and the recess for the inlayed border. 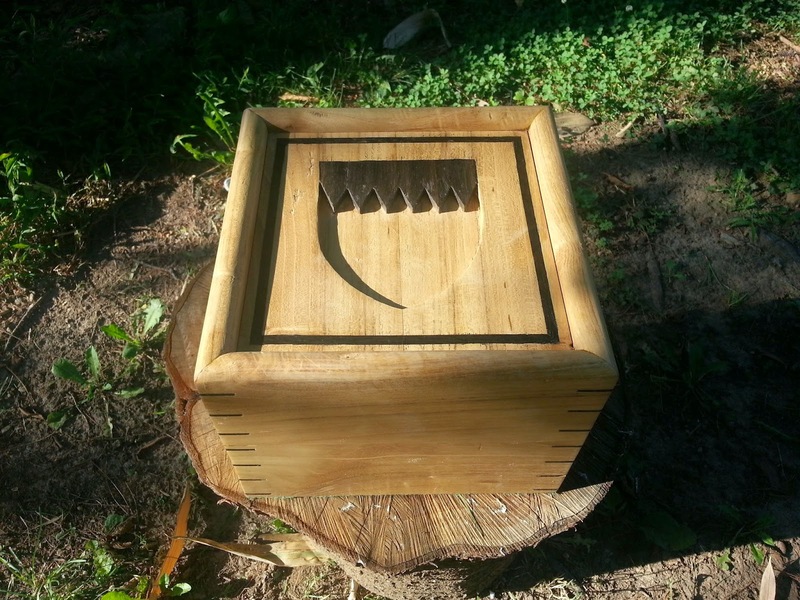 This was a mix of hand work and work with a router. 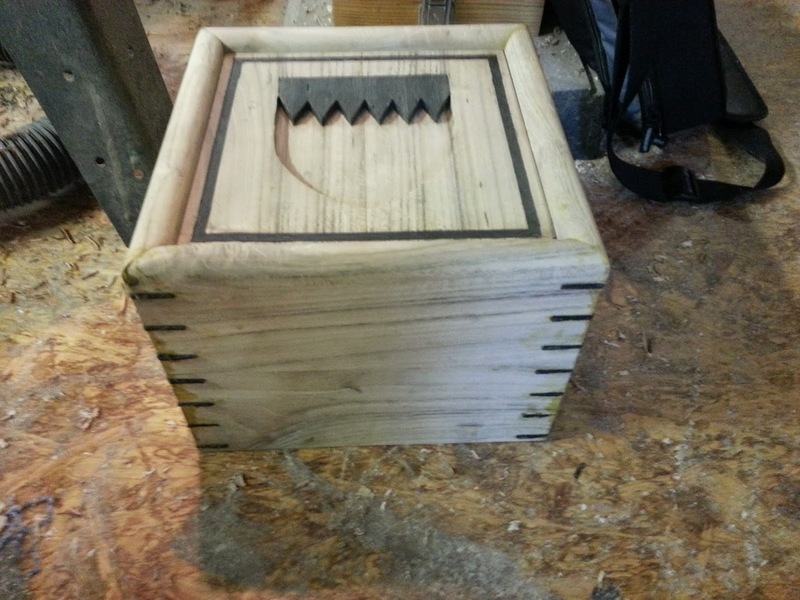 Below the recessed shield shape and the recess for the inlay can be seen. Around the edge of the shield I scribbled with crayon so that I could see the line I was cutting to better. This was later sanded off. 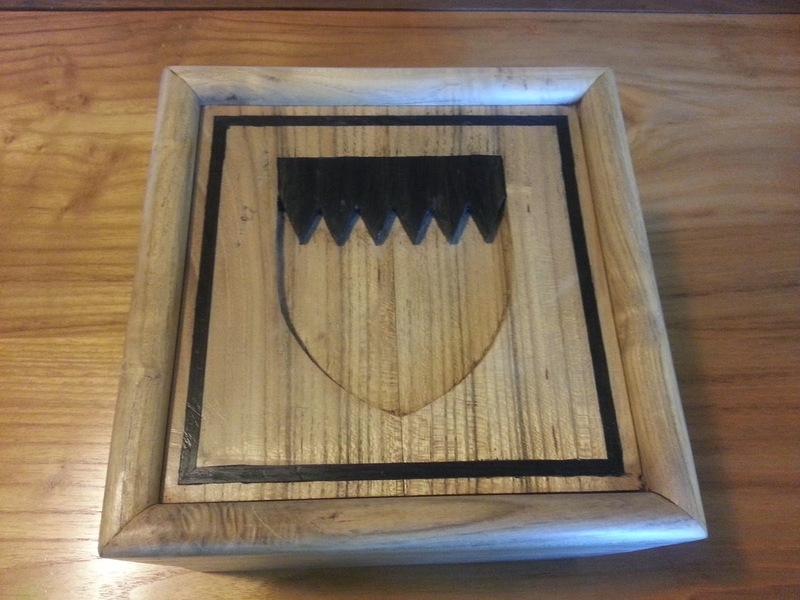 Below is a photo of the bog oak piece that Tom gave me. It is followed up by a closer photo of the piece. 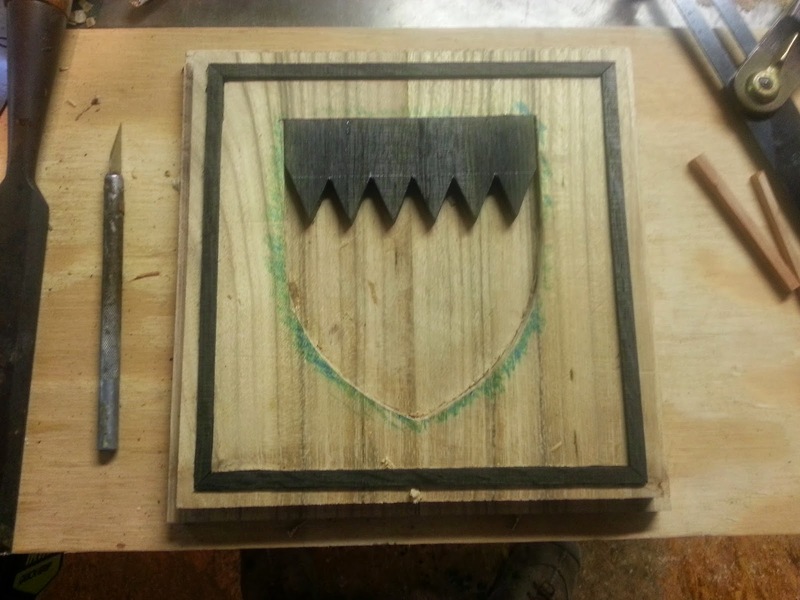 The piece was not wide enough to orient the grain running up and down, so I cut the bog oak into four pieces and glued them together to make up the black part of the shield. 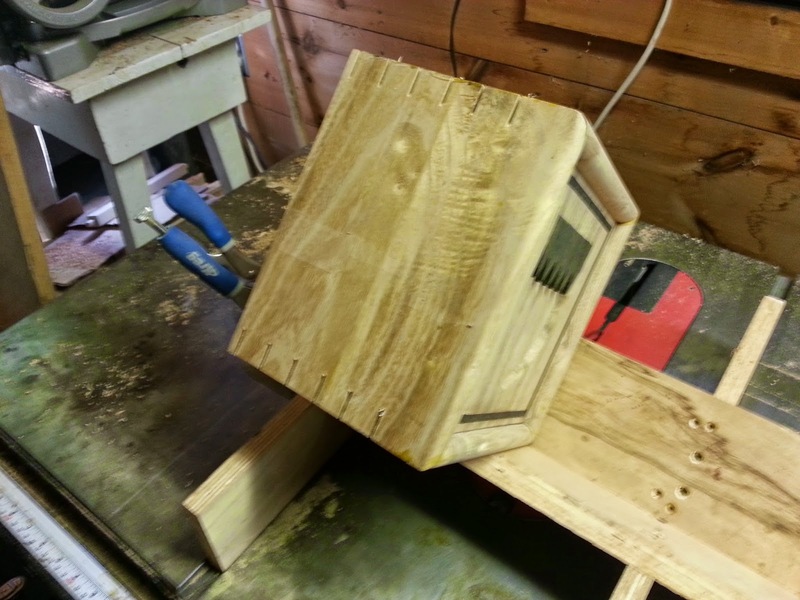 The glued up piece can be seen below fitted into the recessed shield. 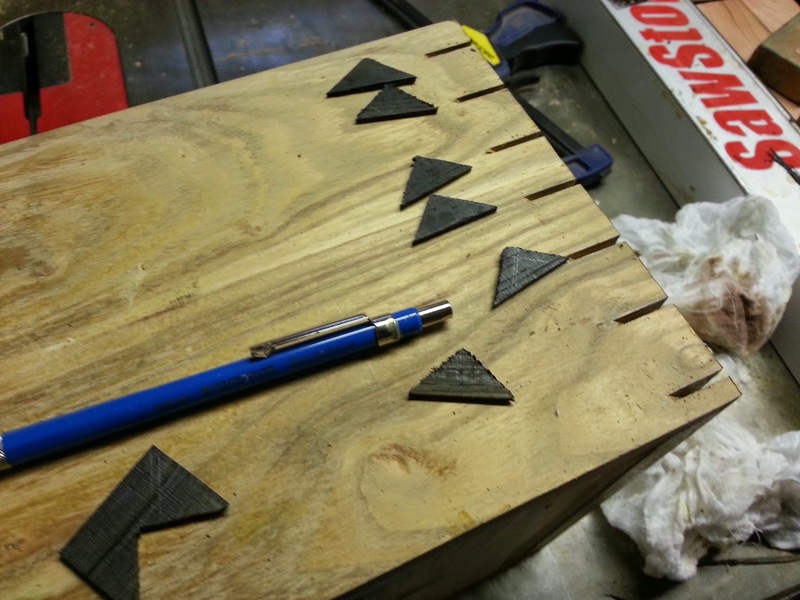 The next step was to cut the diagonal zig zag pattern into the bog oak. In this photo the inlayed border is also seen in place. Gluing the bog oak in place. 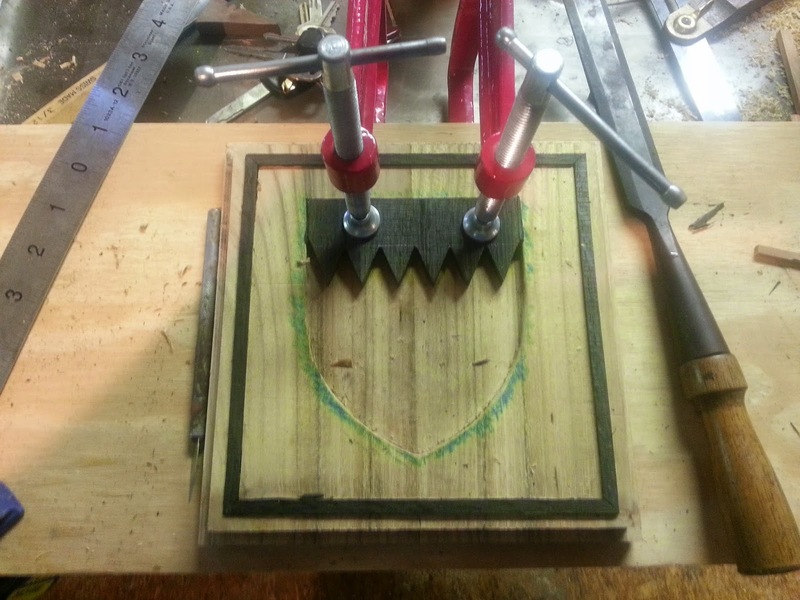 After the bog oak was glued in place, I planed it flush with the locust top. I was struck by the beauty of the wood shavings and took a few photos of them. I saved the shavings for something in the future. I just could not see throwing them away! 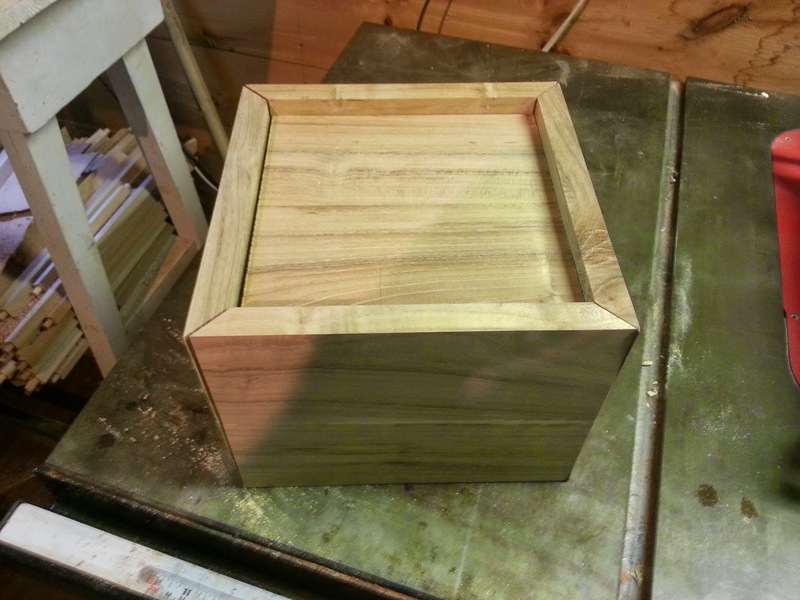 After the top was finished, I rounded off the upper edges of the sides and test fit the entire box, as seen below. 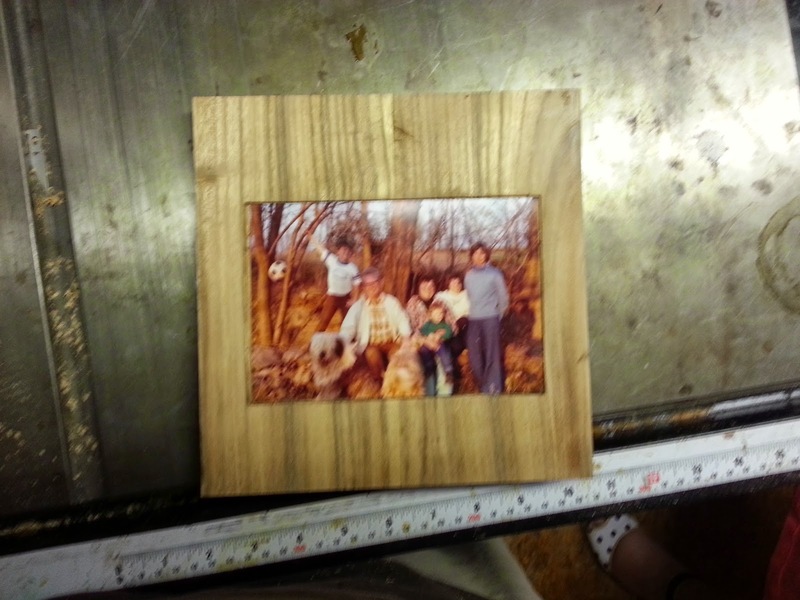 Before sealing up the box, I cut a recess on the inside of the top to hold the photo of all of us seen above in front of the locust tree. It is seen below. When I have made these boxes in the past, I learned to assemble them with packaging tape. 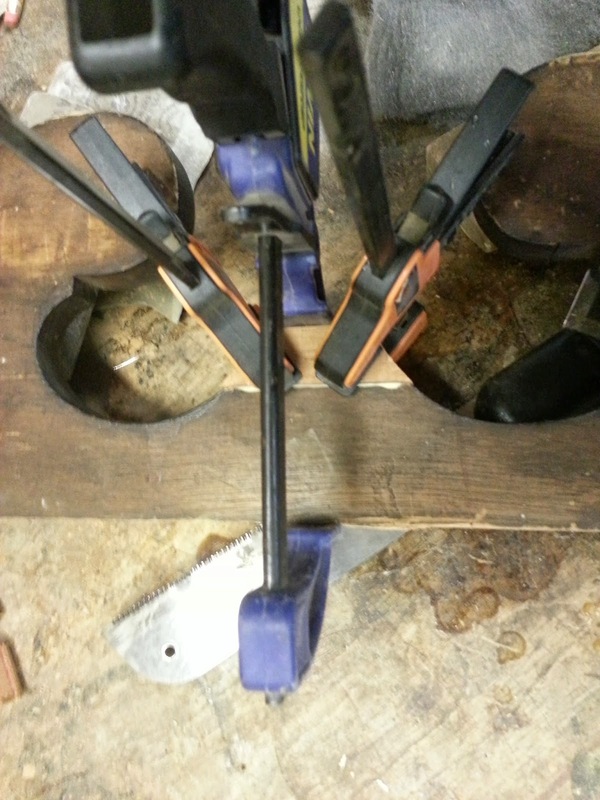 It serves as a good clamp while the glue dries. 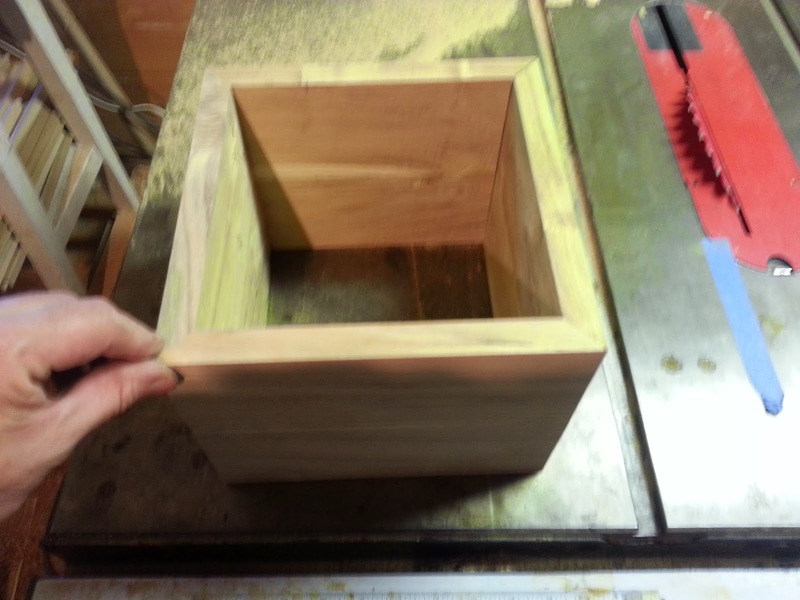 After the box is glued, the top is parted off with the table saw so you have a lid and a bottom. In this case, I did not want the box to open so I did not part off the lid. Because of this, the contents were sealed into the box during the gluing process. 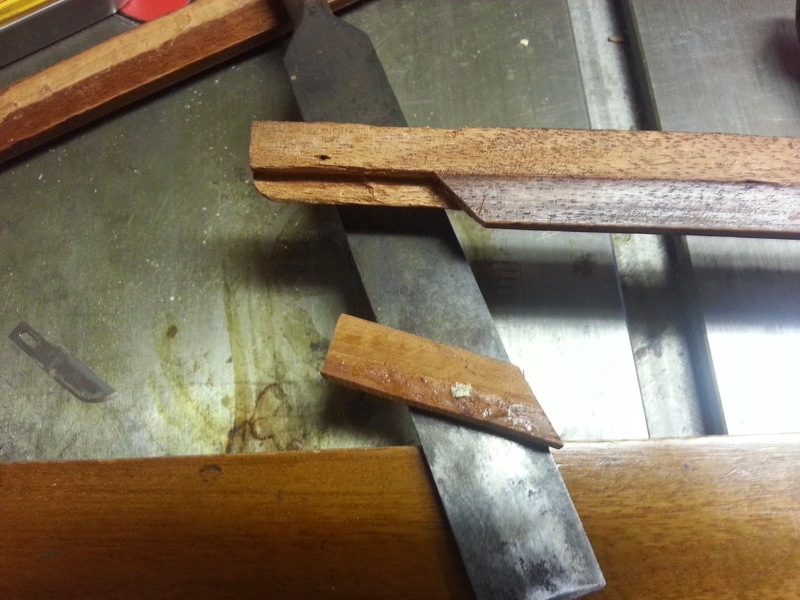 After the glue had set, the last step was to cut the kerfs for the keys in the mitered corners. 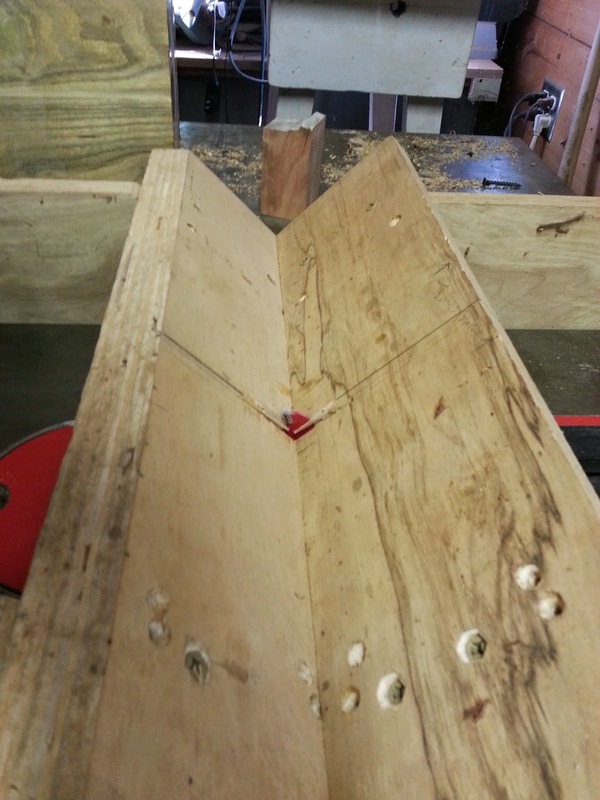 This is done with the help of a sled that moves across the saw blade and holds the box at a 45 degree angle. The sled is seen below. 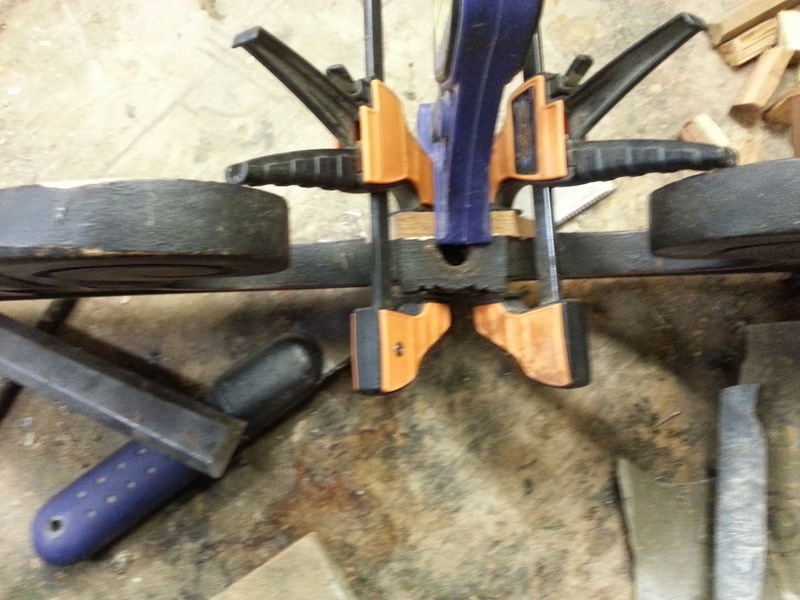 I marked where I wanted the cuts to be and used a stop block clamped to the sled to make sure my cuts were in the same location on each corner. 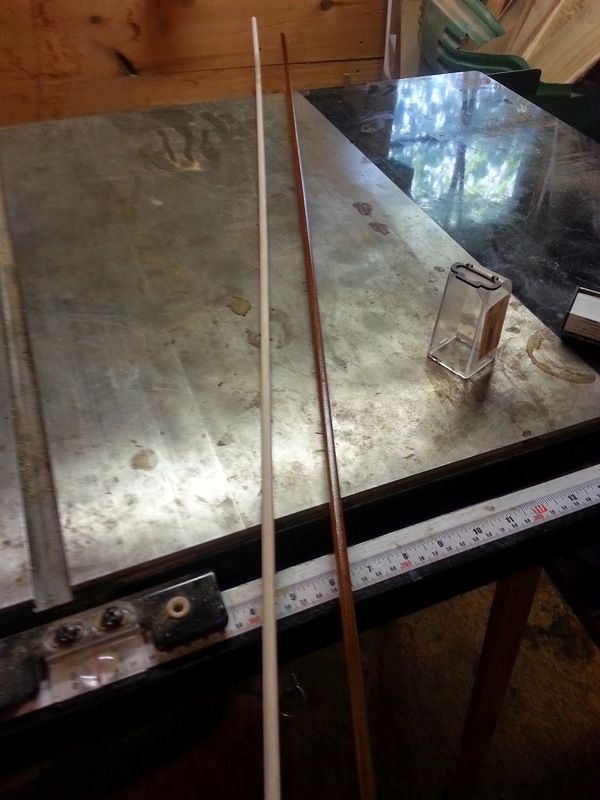 Below is are some photos of the sled in use. 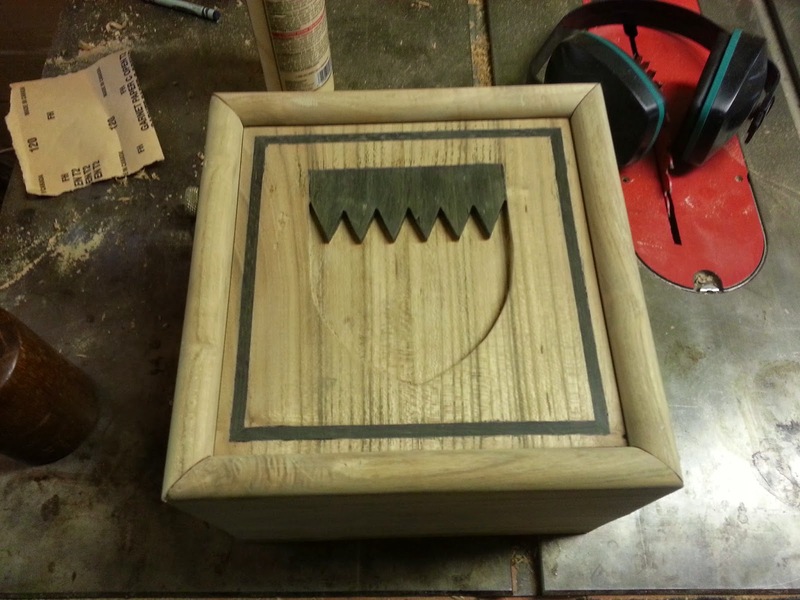 Below is a photo of the urn with all of the kerfs cut. The keys were made of bog oak and cut to size to minimize the amount of waste. 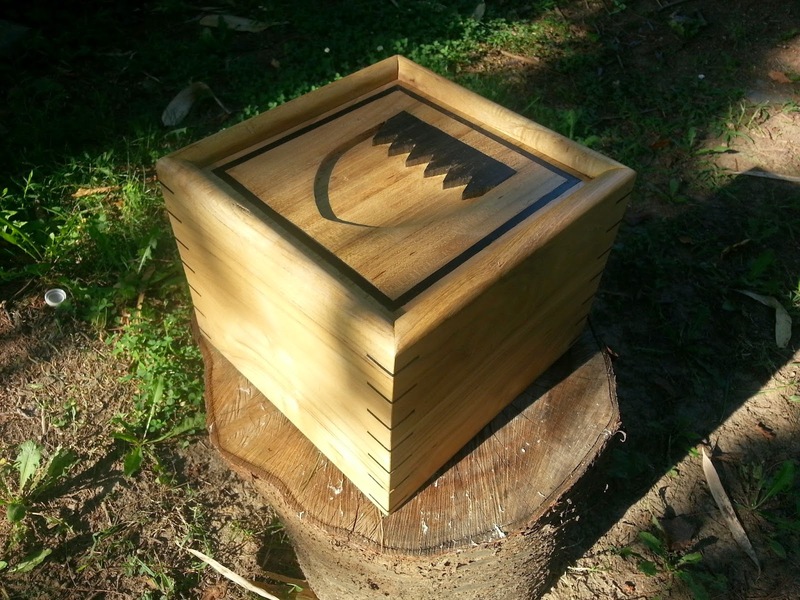 After the urn was completed and sanded, I put a simple wax finish on the exterior to give it a bit of a shine. These last photos of the urn were taken outside of my house in the morning on Monday, July 7th, The day of my fathers internment at Culpeper National Cemetery. The first photo at the top of the post with the flowers was taken by my sister Elizabeth at the internment. It was a beautiful ceremony which my father would have loved. The period in furniture history known as Edwardian lasted form 1901 to 1910 and coincides with the reign of Edward VII, son of Queen Victoria. 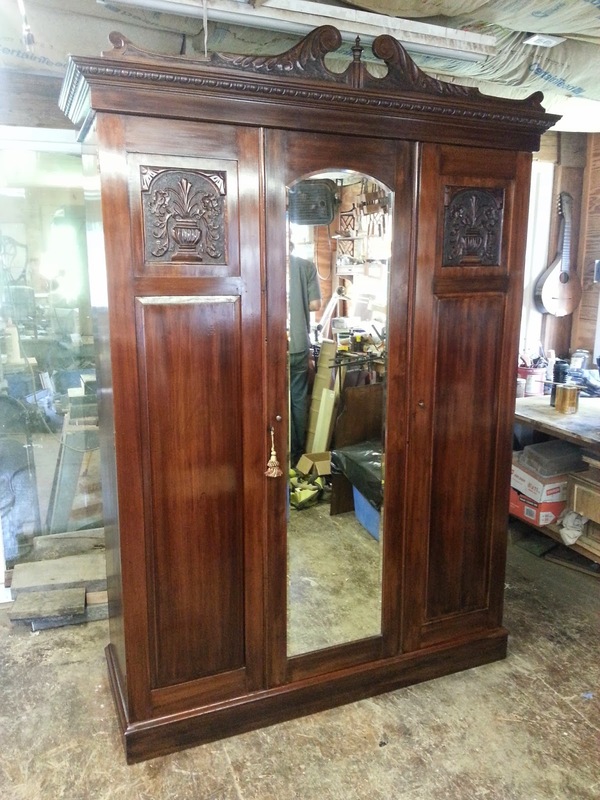 The style shows a clear movement away from the more ornate and richly carved Victorian furniture of the previous century, a change that had been set in motion in the later half of the 1800's. What this style came to embrace were clean lines an largely unadorned furniture. Exemptions to this would be floral motifs. The general idea was to bring to the consumer furniture that was uplifting and cheery. The wardrobe that I worked on was no exception to these ideas. 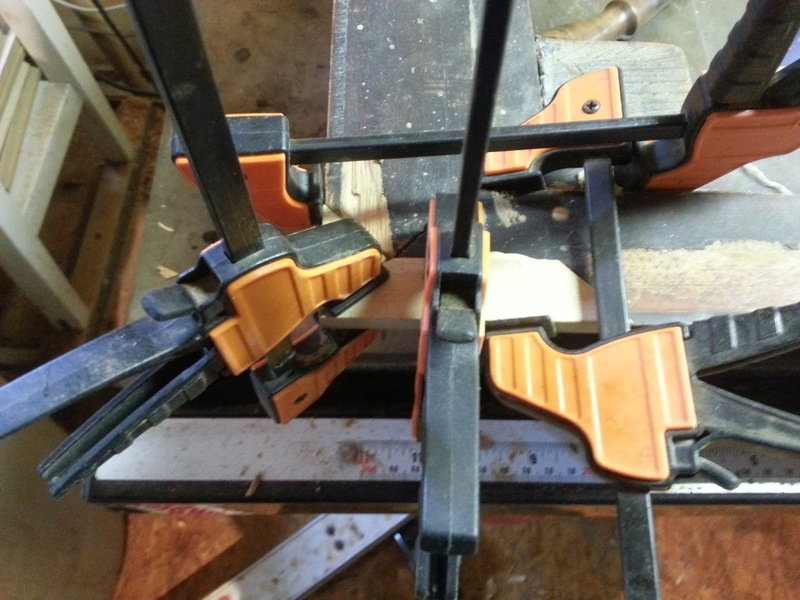 The piece was made of Mahogany and American Tulip Poplar and for the most part followed a rectilinear form. The cornice featured egg and dart molding and the broken arch pediment and upper panels on the side doors featured carving in keeping with the Edwardian design aesthetic. 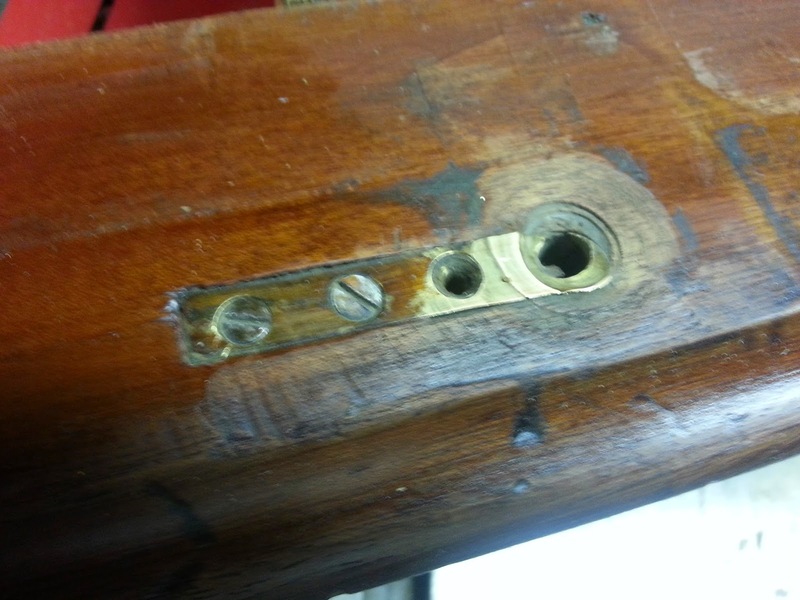 Overall the piece was in working order and beyond general repairs, the main issue was that the wood had bleached on the exterior to a light yellow color. The interior was largely spared from this, but portions had lightened up a bit. After examining the finish, I decided to retain the original finish and stain into it to try to bring the exterior color in line with the interior. 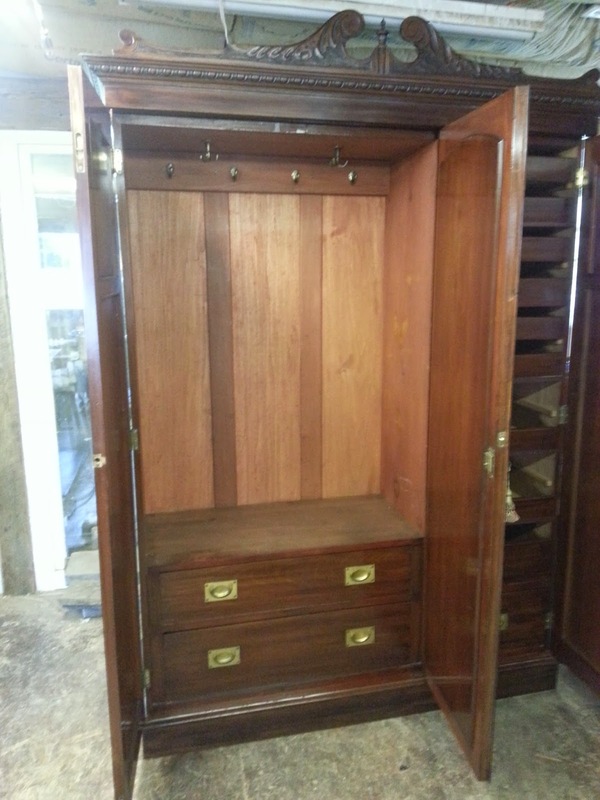 Below are a few photos of the wardrobe as it was when it entered the shop. As stated above, there were several repairs to be made. The first was a large portion of the corner of the cornice that was missing. below are two photos of the damage. I cut patches and cut away an area of the cornice to receive the patches. Below is a photo of the patches being glued in place. 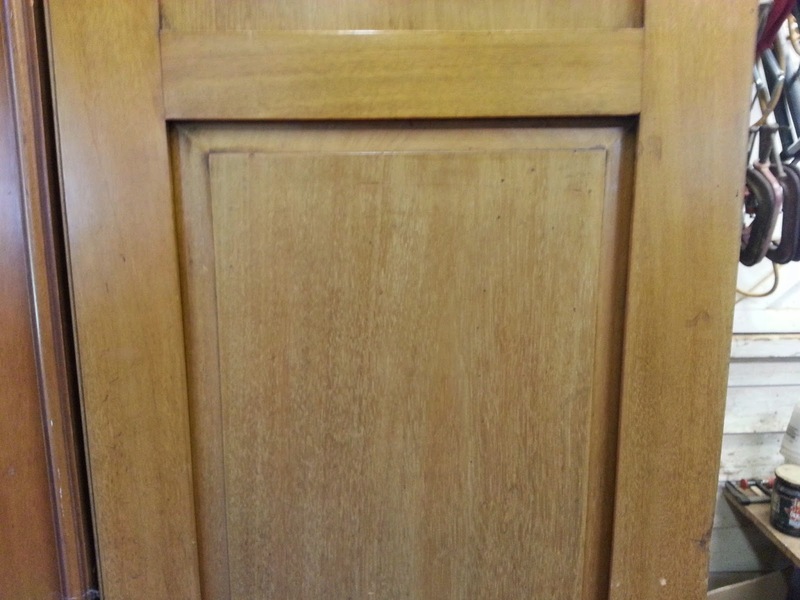 The completed repair, made from two patches, sanded and ready for stain. The broken arch pediment had once had a finial. The finial had probably been knocked off at some point and lost. 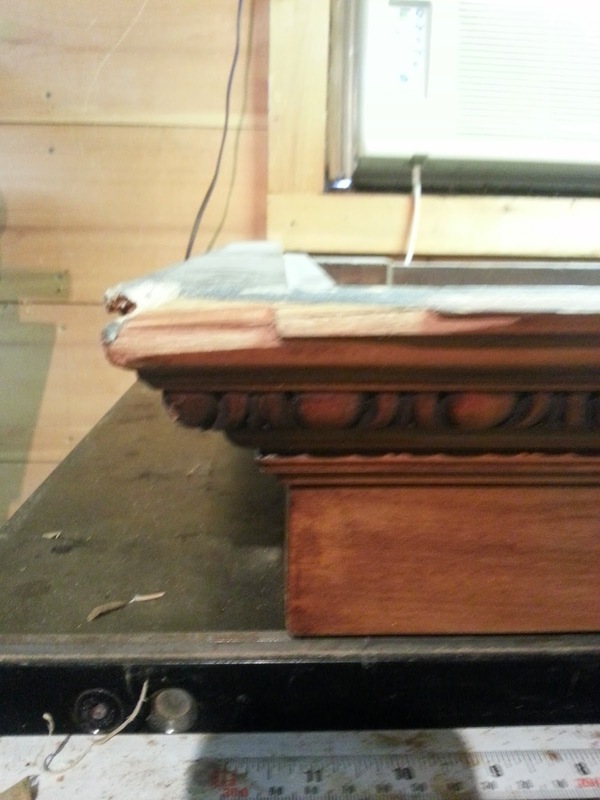 In the process, the mortise for the finial had been broken out on the backside of the pediment. below is a photo of the damage. 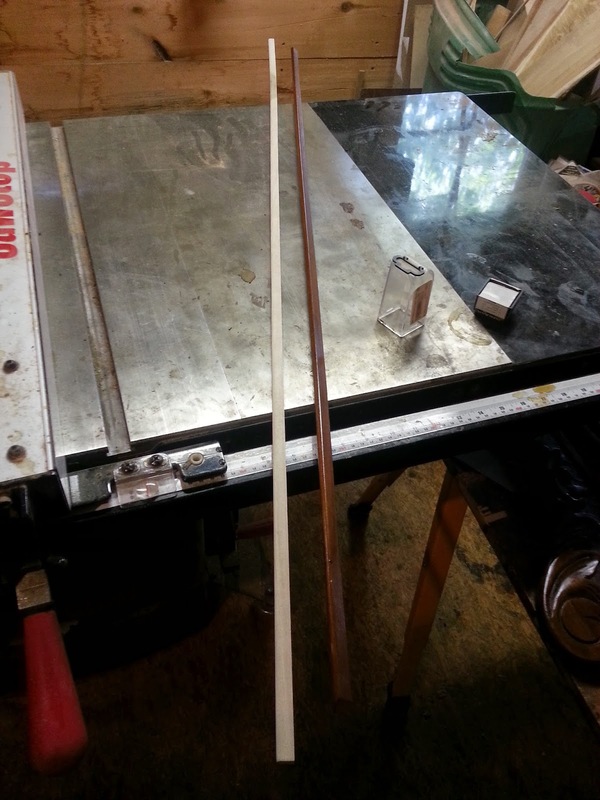 The next two photos show the mahogany patch being glued in place. after it was glued, it was pared down and later a new finial was put in place. this photo shows a panel that covers the back side of the mirror being repaired. Likewise, this next photo shows repairs made to the case. 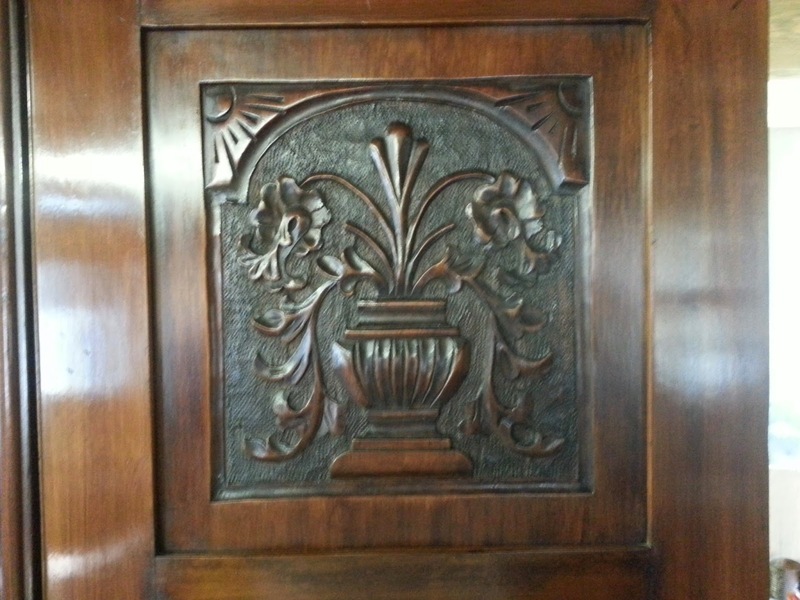 The astragal molding that was glued to the center door overlapping the edge of the adjacent door was loose and broken. 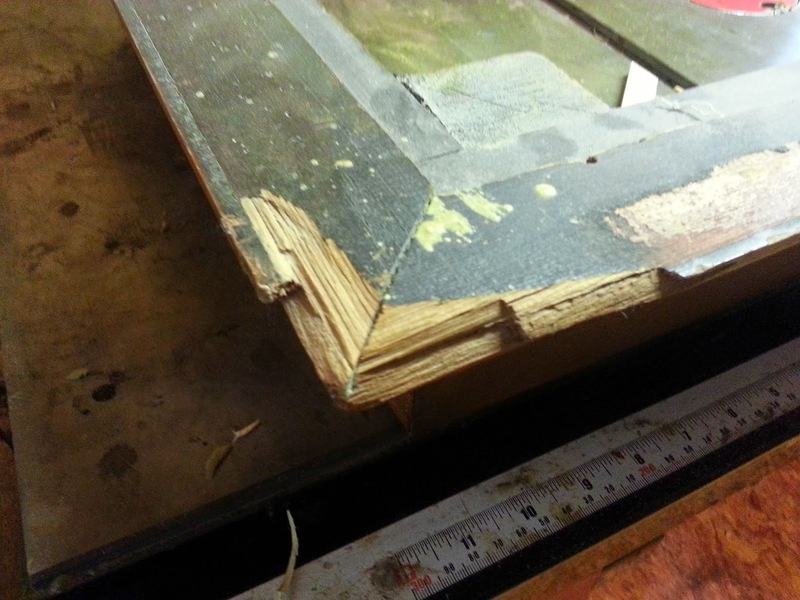 the lower edge of the molding had broken off and was missing, so it was patched as seen in the photos below. 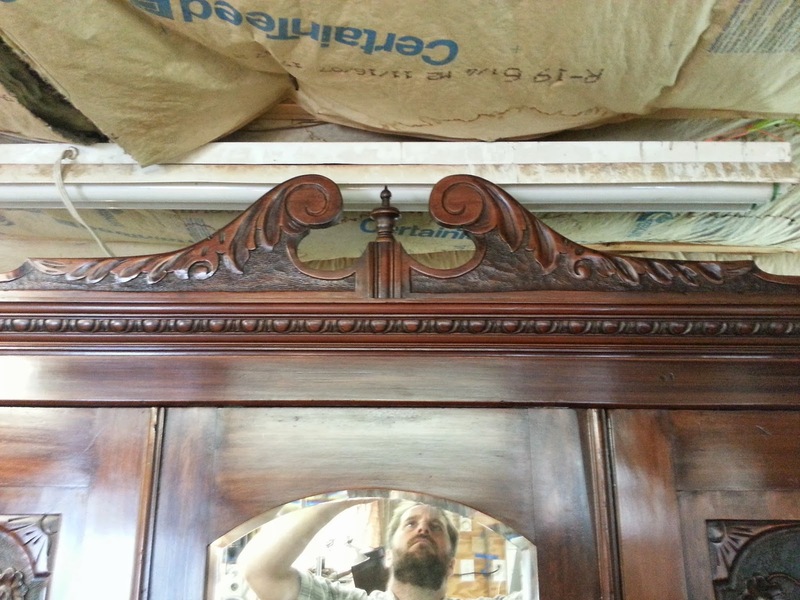 The molding was then glued back in place. This photo shows the two outer doors. 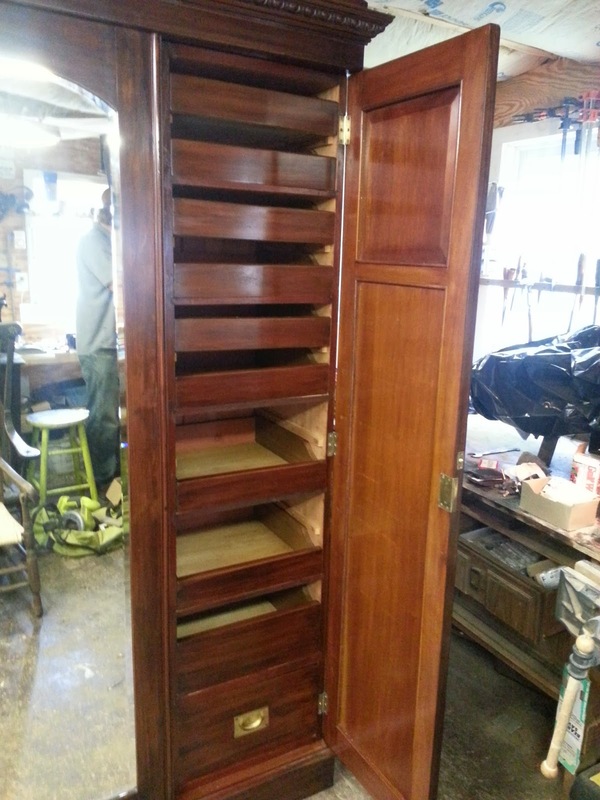 The panels were removed for staining. The one on the right has been stained while the one on the left shows the bleached color. The central door pivoted on two knife hinges, one on the top of the door and one on the bottom. 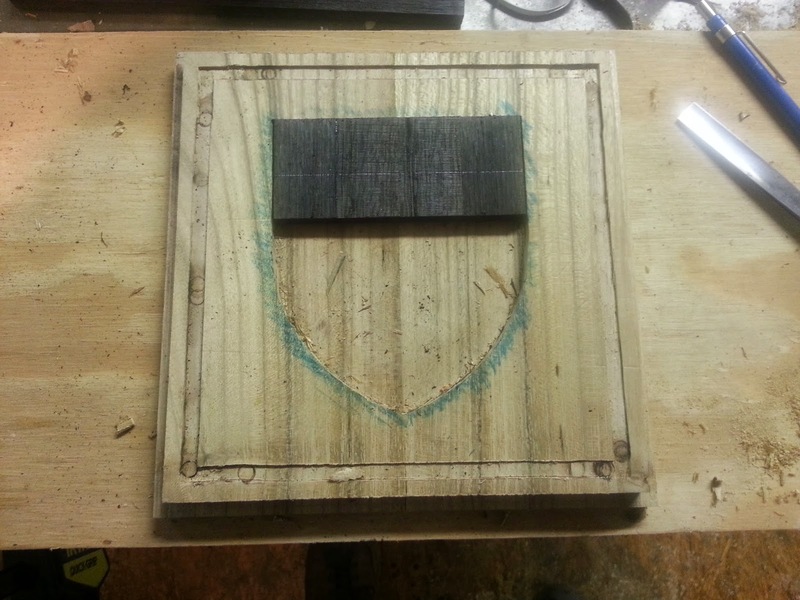 The basic idea is that there are two rectangular plates of brass that are drilled out so that one can be screwed into the edge of the door and the other into the case. They have another larger hole drilled on one side. the plate on the door side gets a metal pin fixed in it and the other does not. once the pin is inserted and the door is hung, the door opens by pivoting on this pin, one on the top of the door and one on the bottom. The hole on the receiving plate with no pin on the bottom side of the door and inserted in the case had become worn and enlarged. It was made from brass and was taking the full weight of the door. 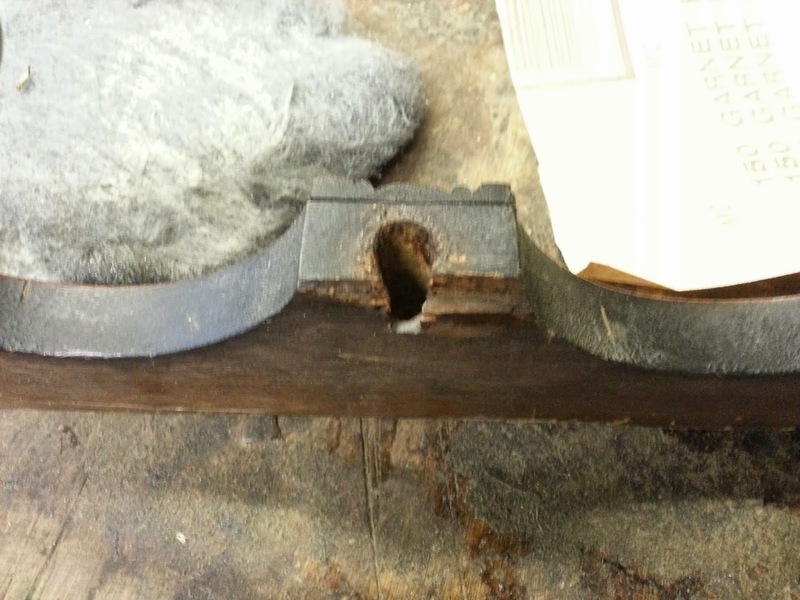 Below is a photo of the hinge part with the worn hole all of the way to the right in the photo. I decided to remove this whole part and replace it. 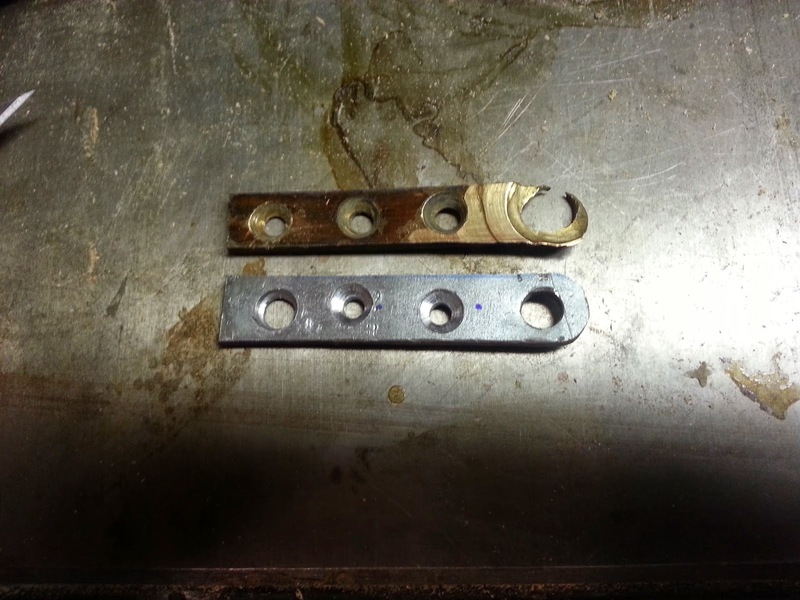 I replaced it with a part I fabricated myself, but instead of brass, I used steel which will wear better. The replacement part can be seen in the photo below below the original. This allowed the door to swing freely. 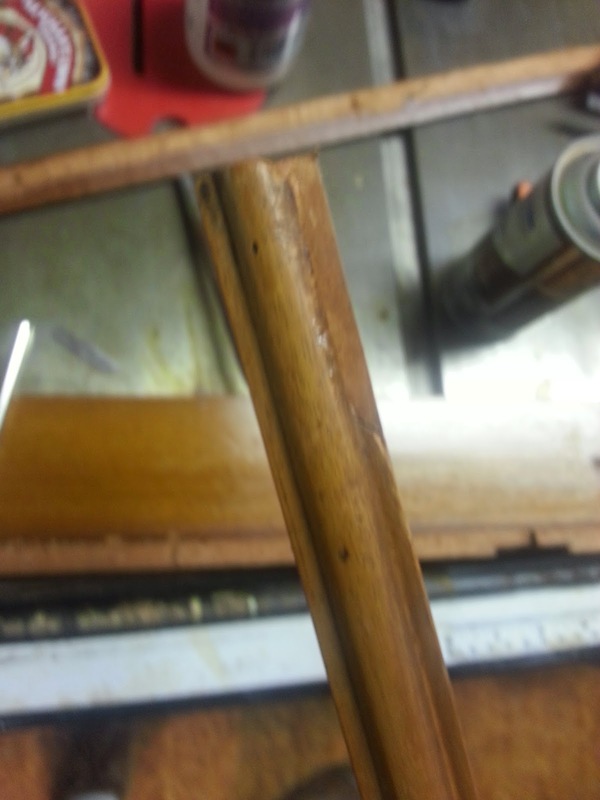 These last repair photos show a strip of beading I made used to hold the floating panels in place in the door. The replacement beading is on the left and is unstained in the photos. 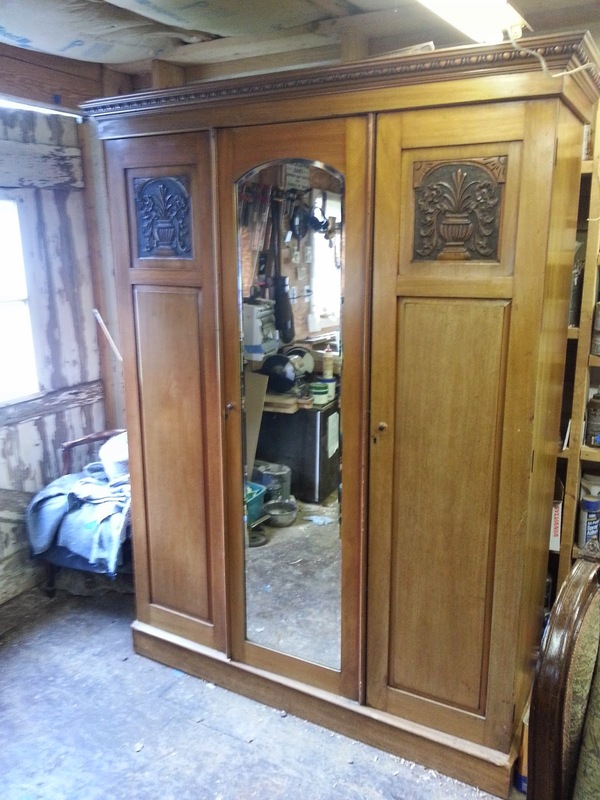 These next couple of photos are of the completed wardrobe with the restored finish and the pediment attached. As stated in the title of this post, the wardrobe was signed. 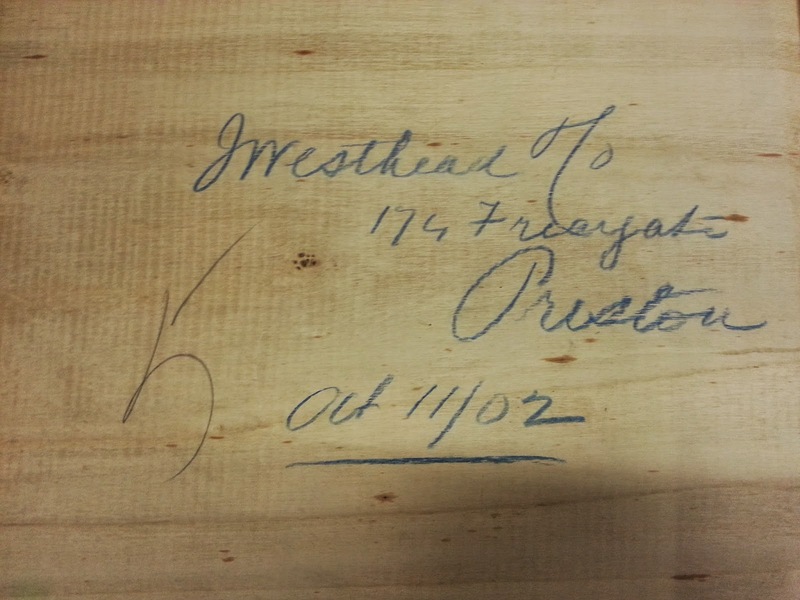 It reads "J Westhead of 174 Friargate Preston Oct 11/02" . 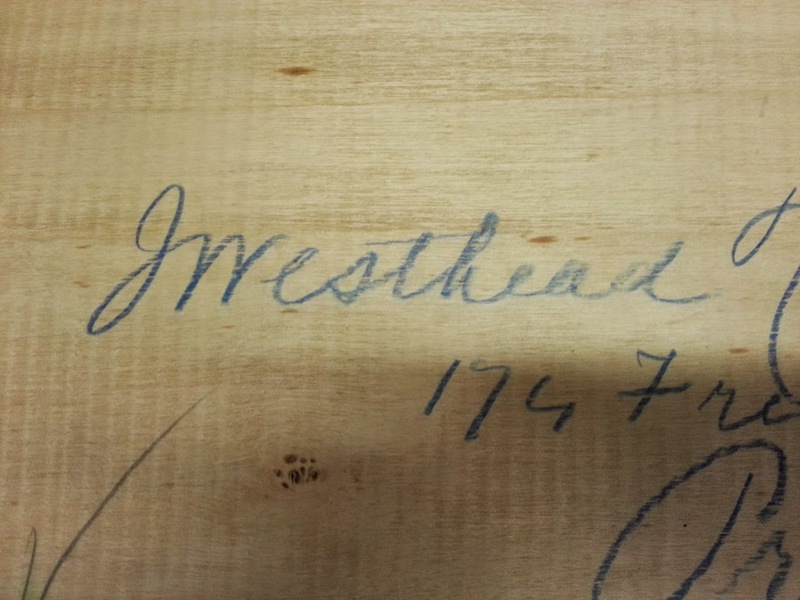 Mr. Westhead was a cabinetmaker in Preston, England, which is a town in Lancashire not far from Blackpool. The piece was completed on October 11th of 1902. 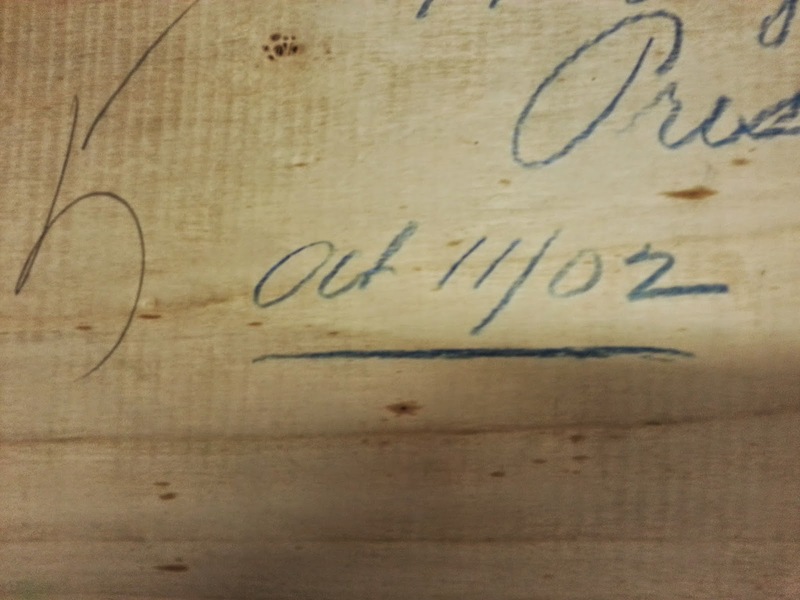 The piece was signed on the bottom of one of the short linen drawers held in the right side of the case. 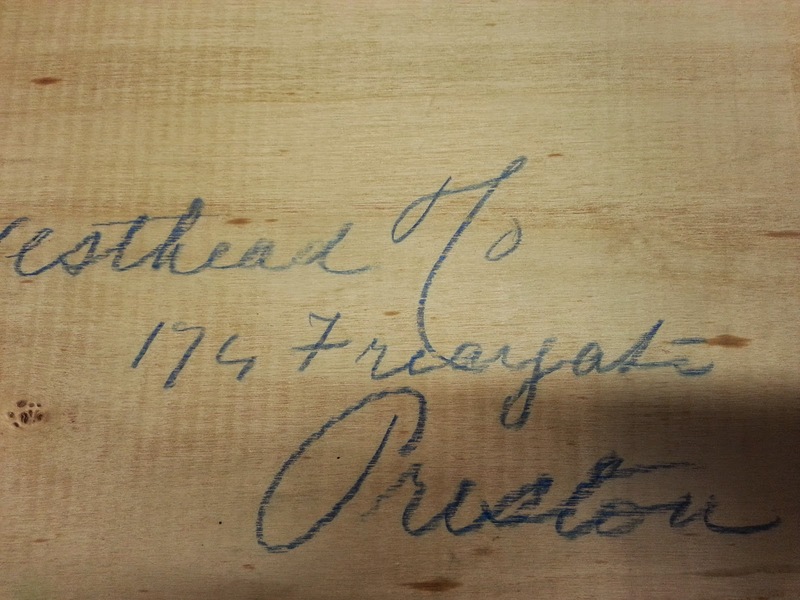 The large 5 written in pencil indicated the placement of the drawer in the case and has nothing to do with the signature. below are some photos of the signature. Since Mr. Westhead wrote his address down I decided to look him up! Unfortunately, 112 years is a long time to be in business and he must have moved on. 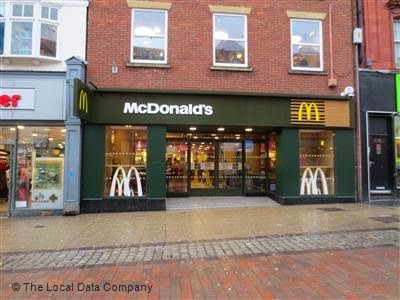 Currently, in his old shop is a Mcdonald's restaurant as seen in the photo below. Perhaps Mr. Westhead had a shop on the ground floor and lived above. At any rate, it is great that he signed his piece and added to the rich history of this fine wardrobe.